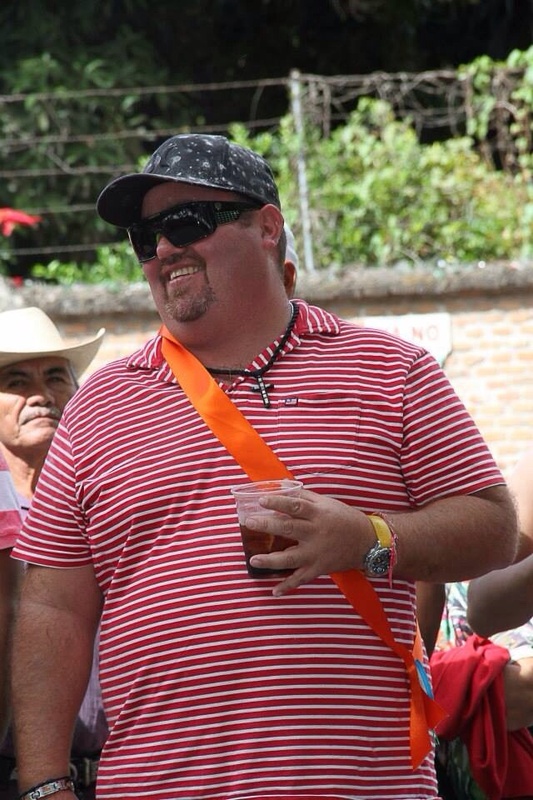 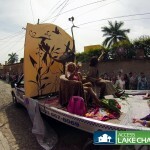 It seems that every year the “Ajijic Carnival” Fat Tuesday parade gets bigger and bigger. 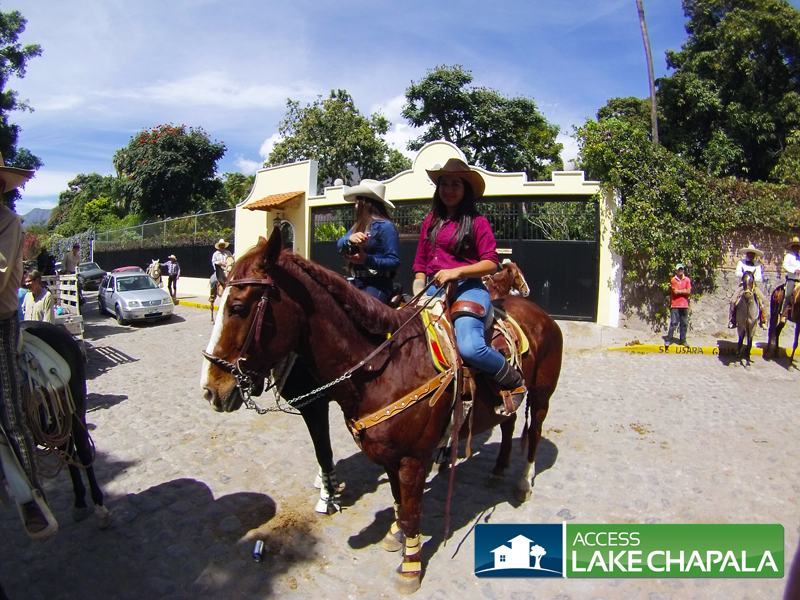 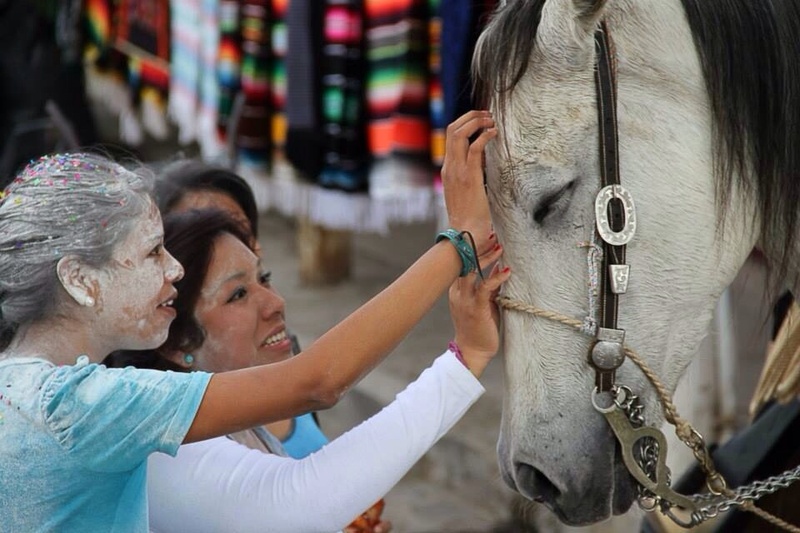 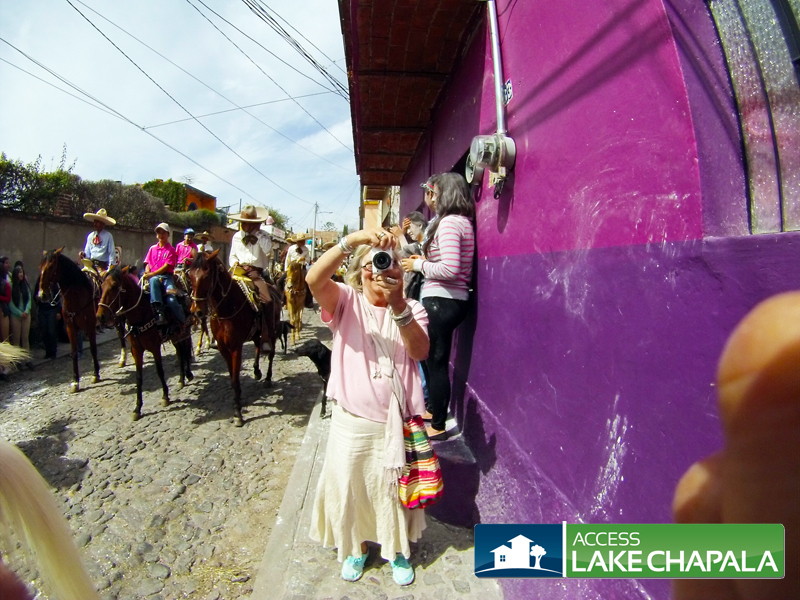 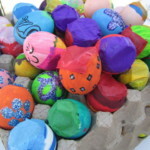 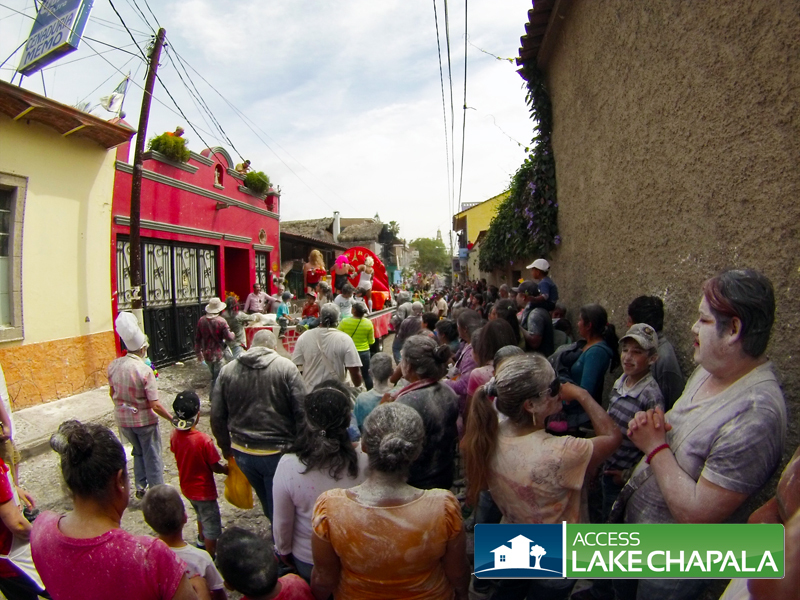 If you do not know what this local tradition is about, check out our blog where we have written about it over the past years. 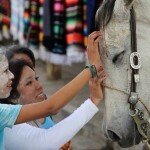 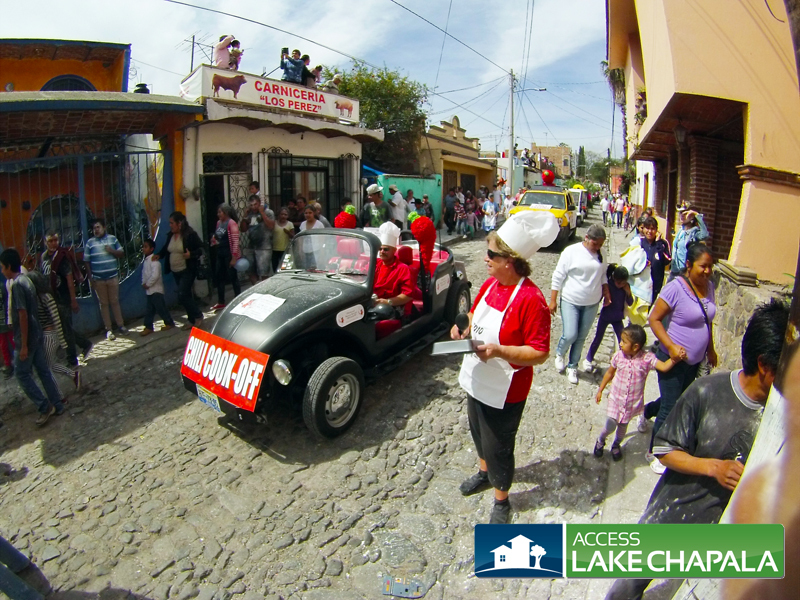 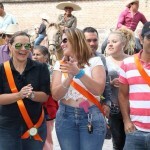 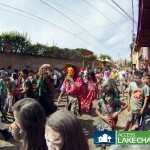 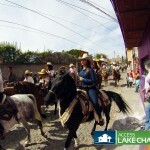 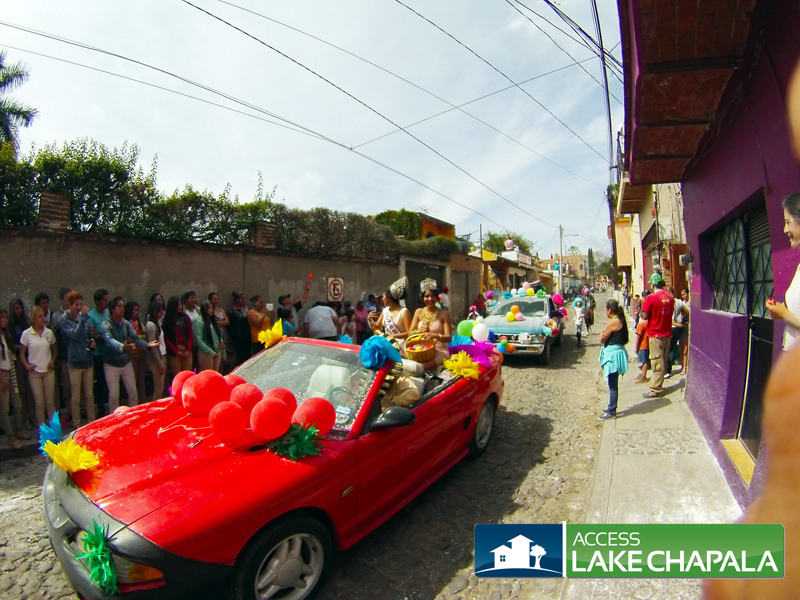 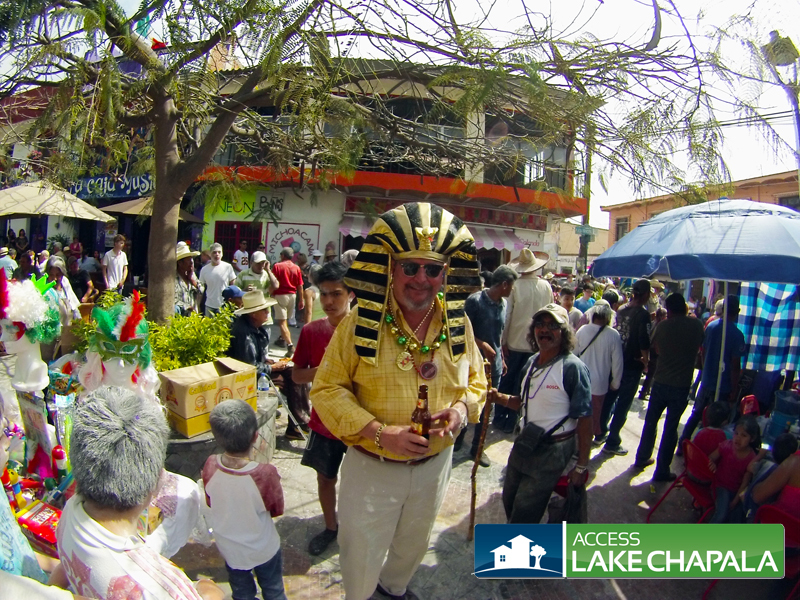 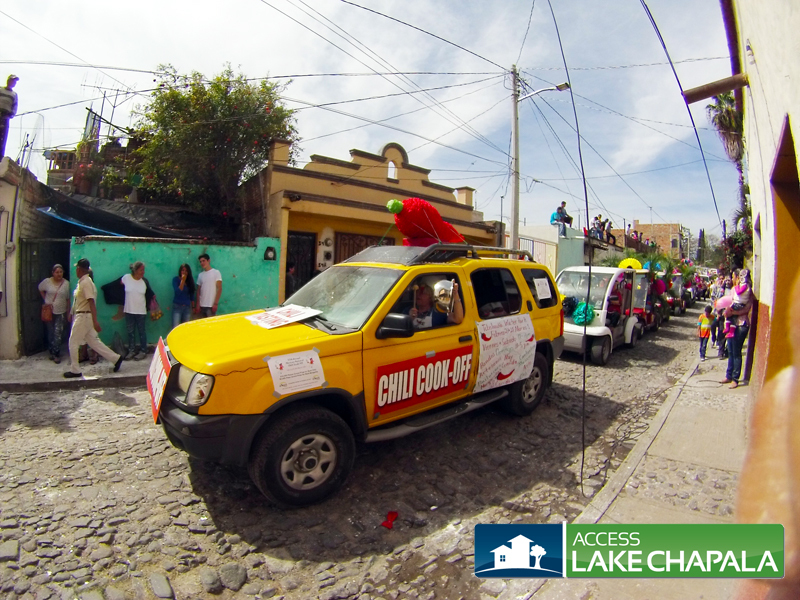 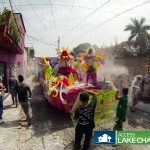 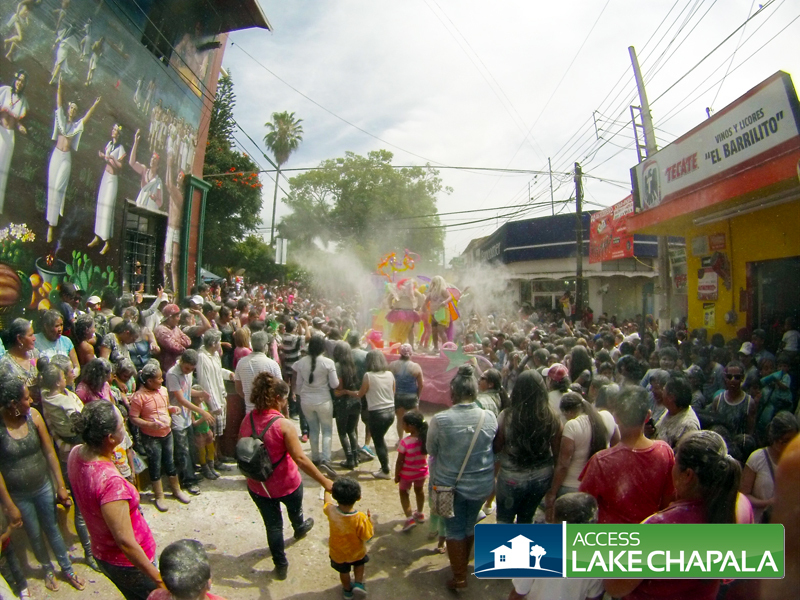 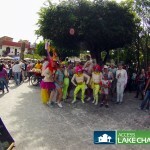 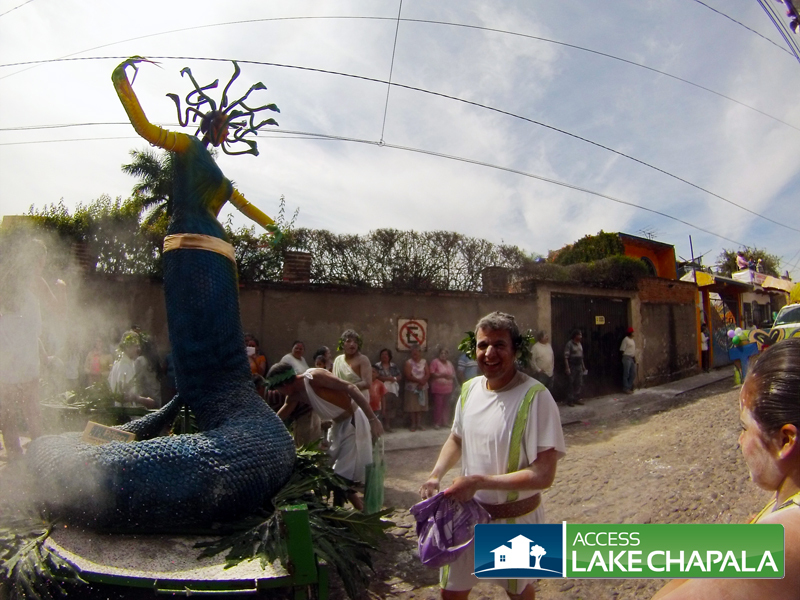 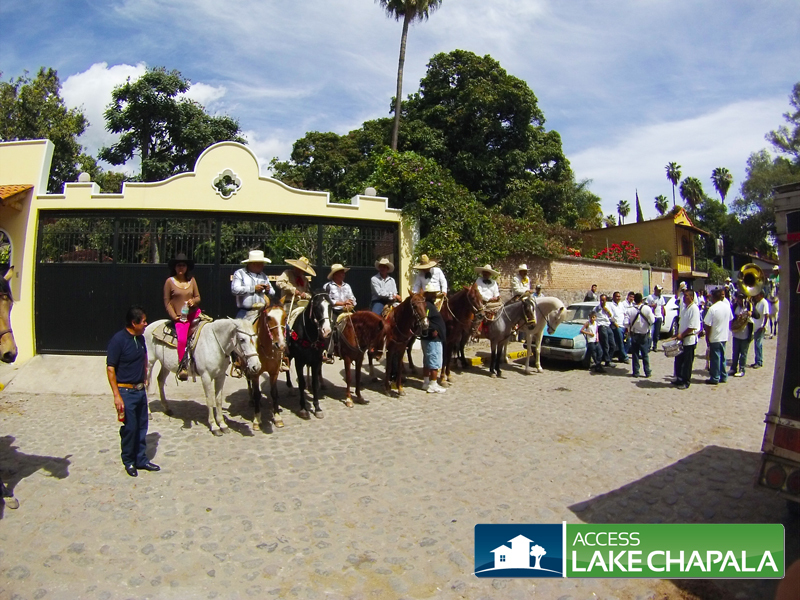 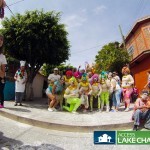 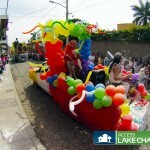 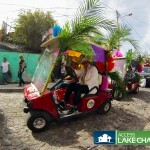 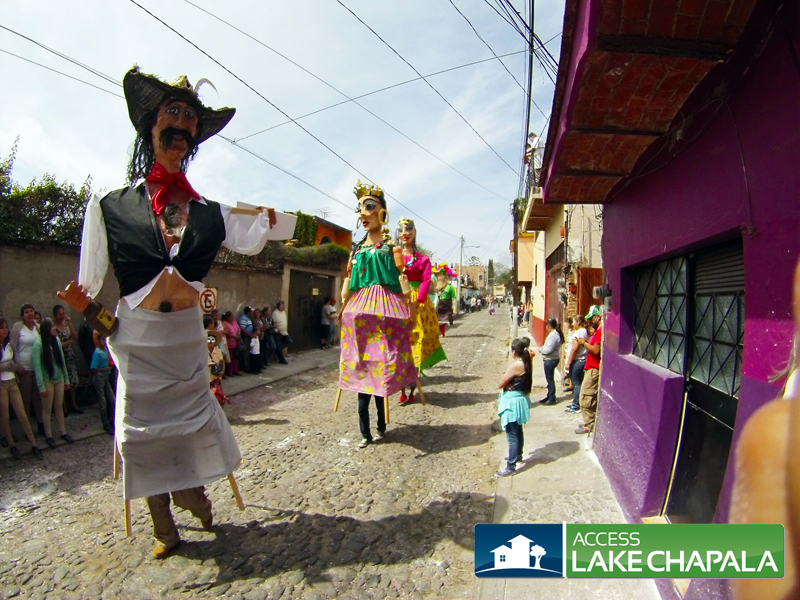 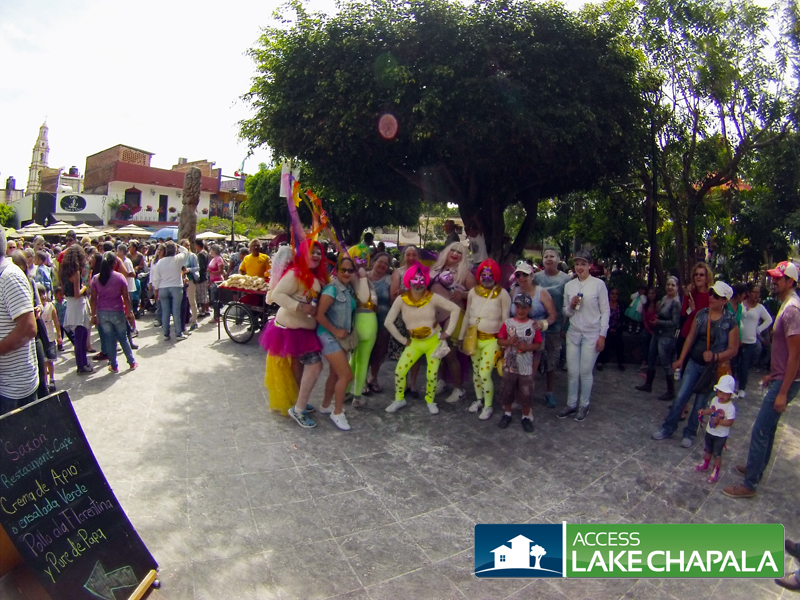 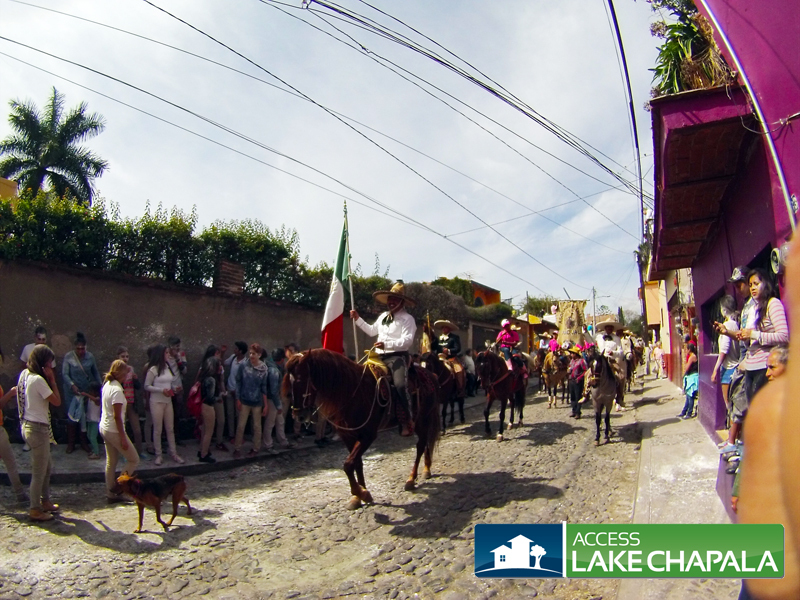 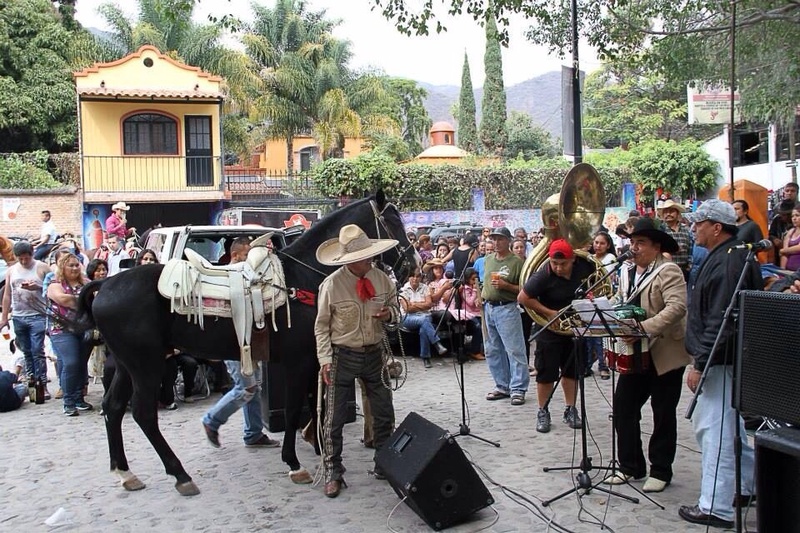 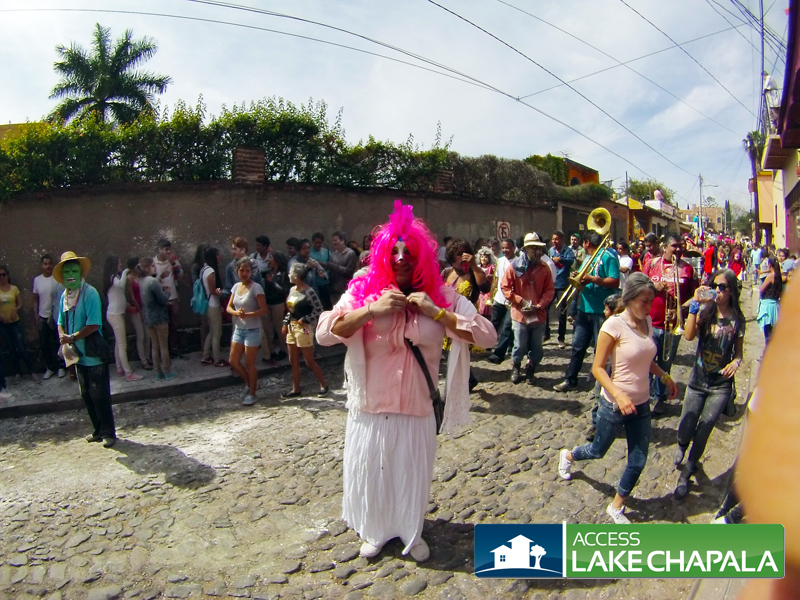 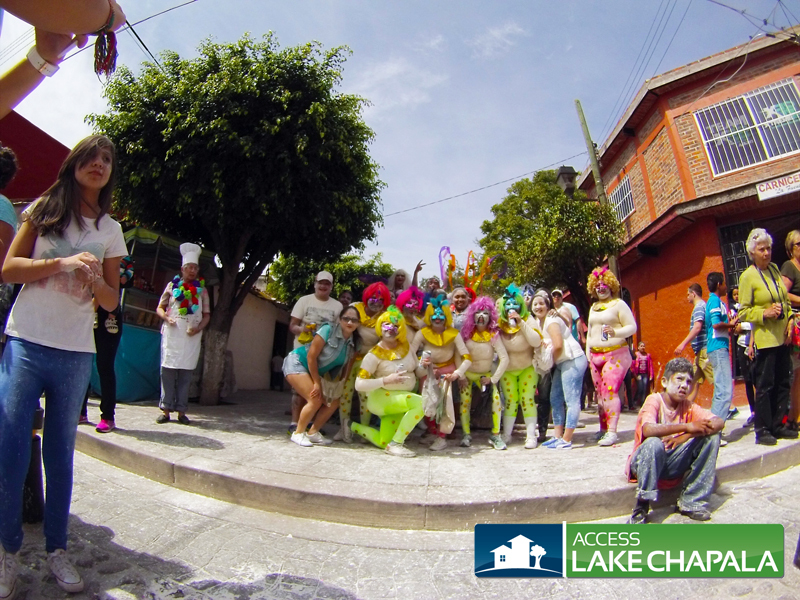 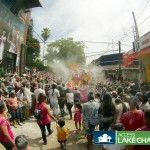 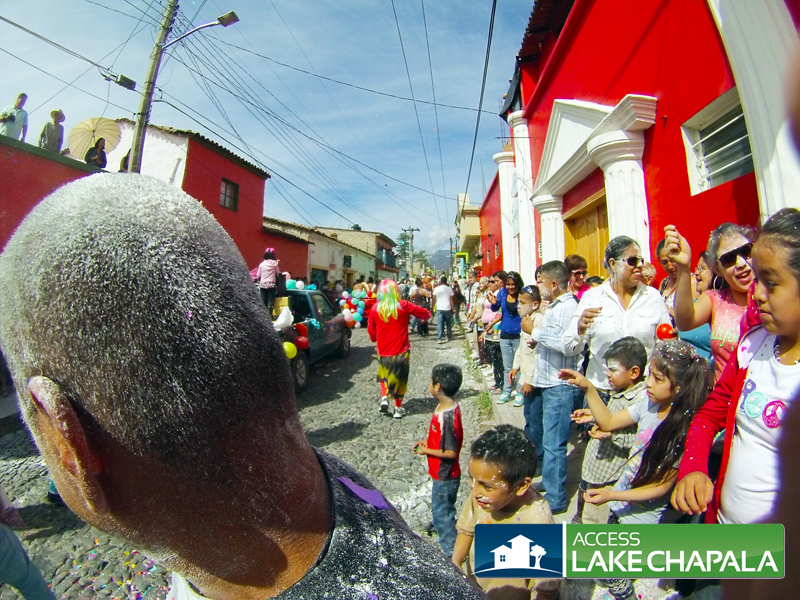 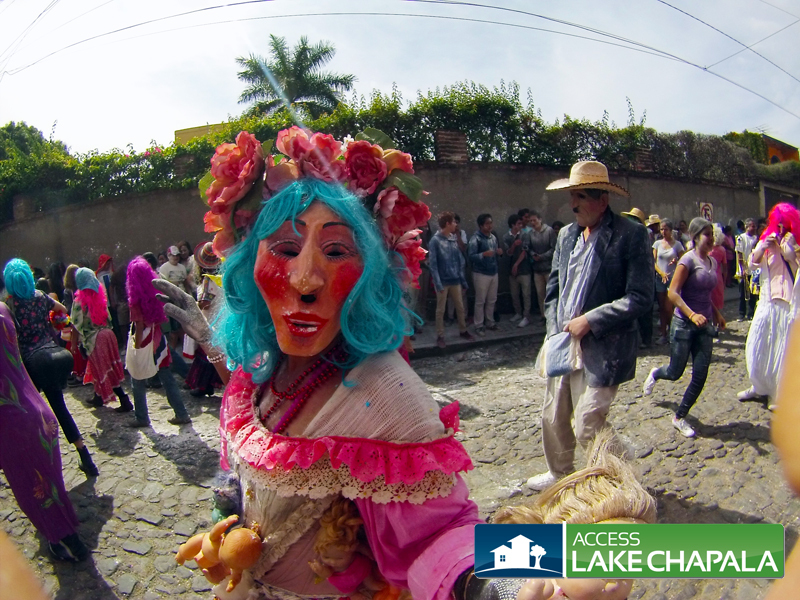 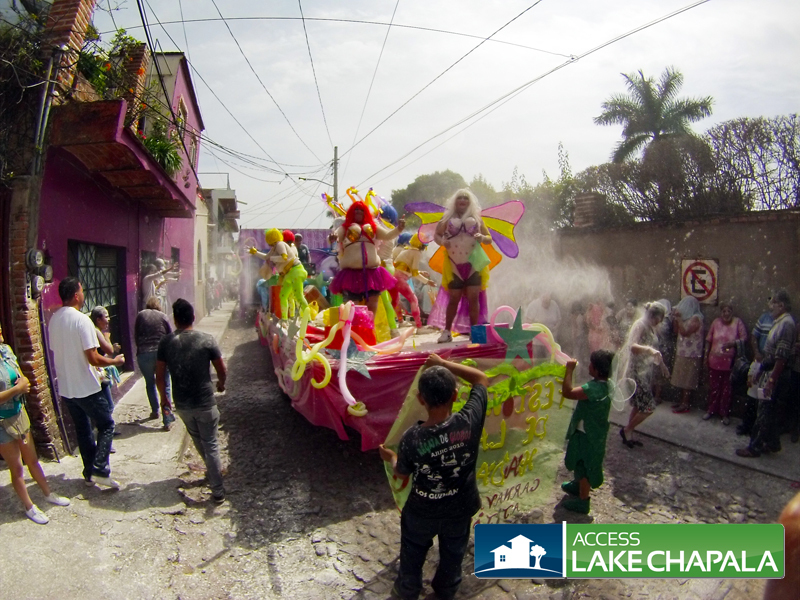 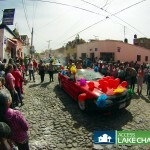 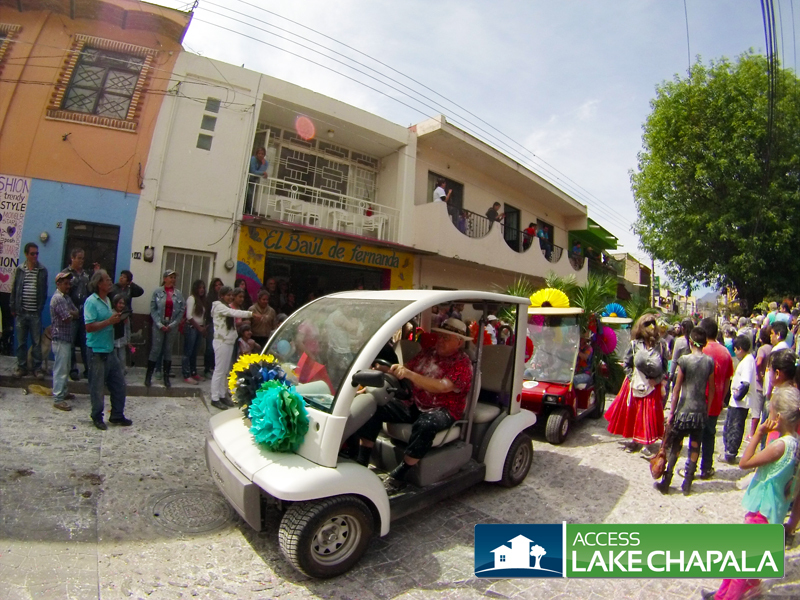 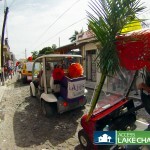 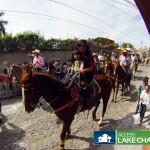 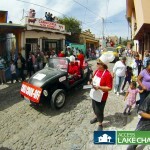 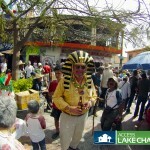 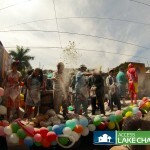 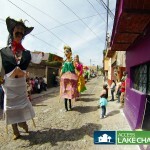 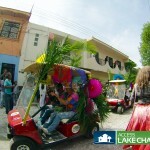 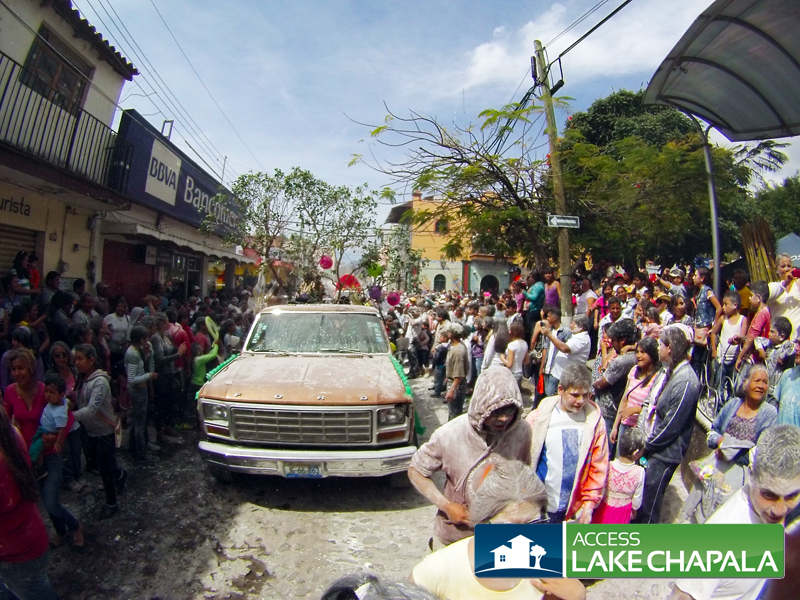 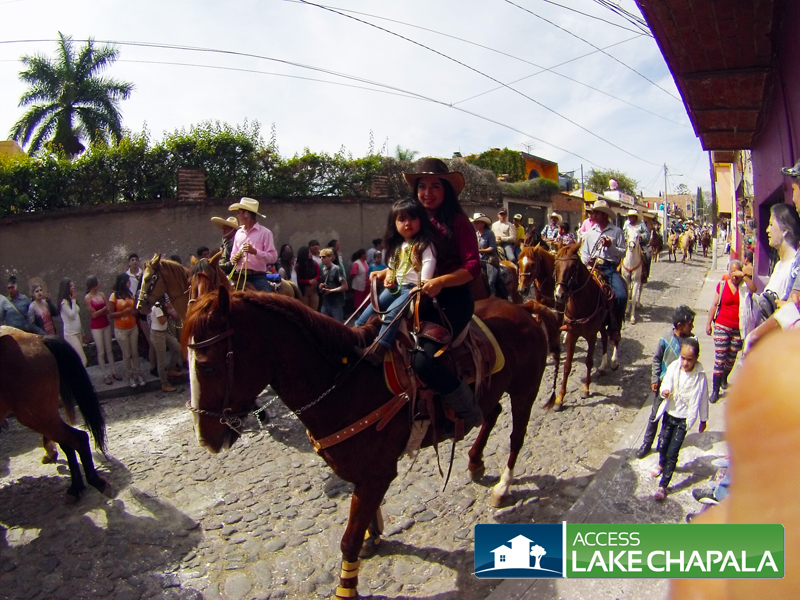 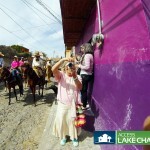 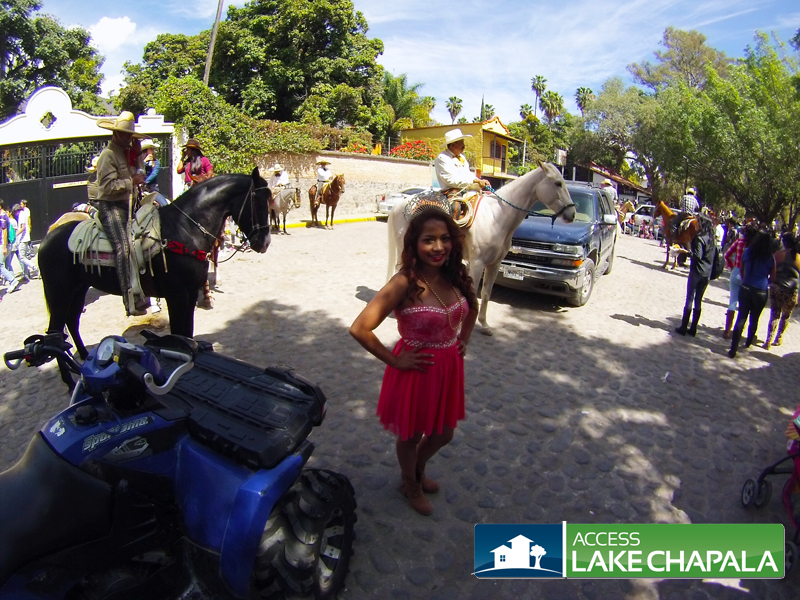 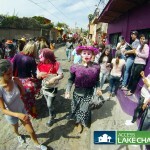 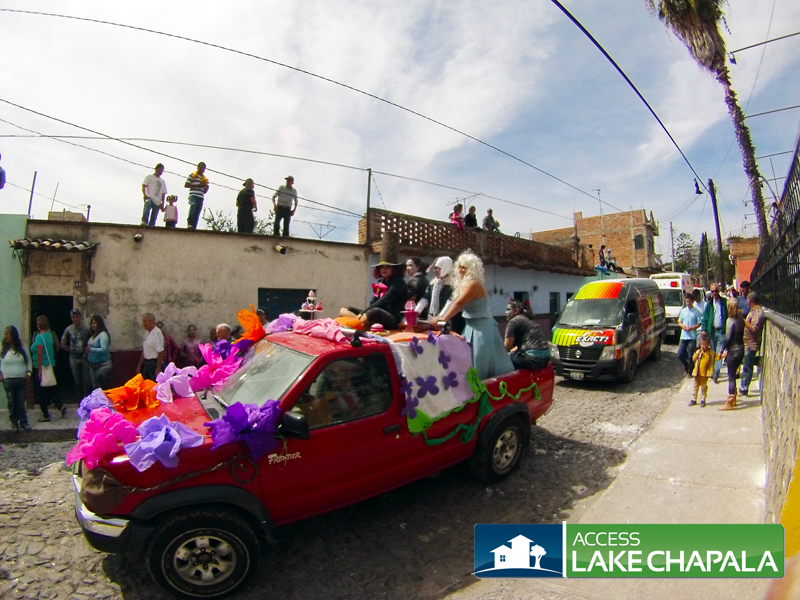 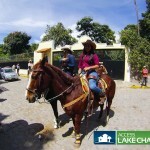 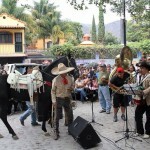 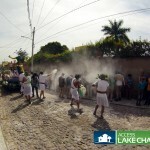 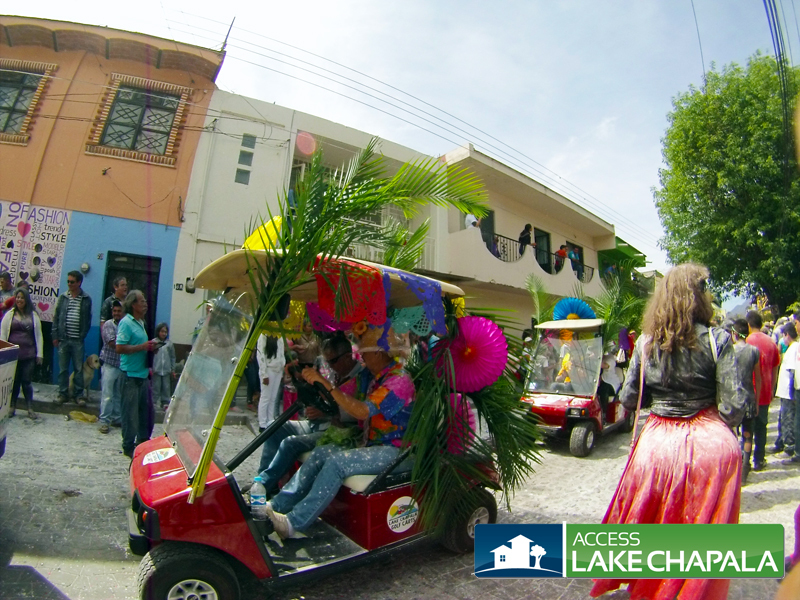 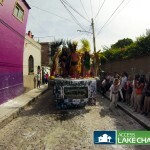 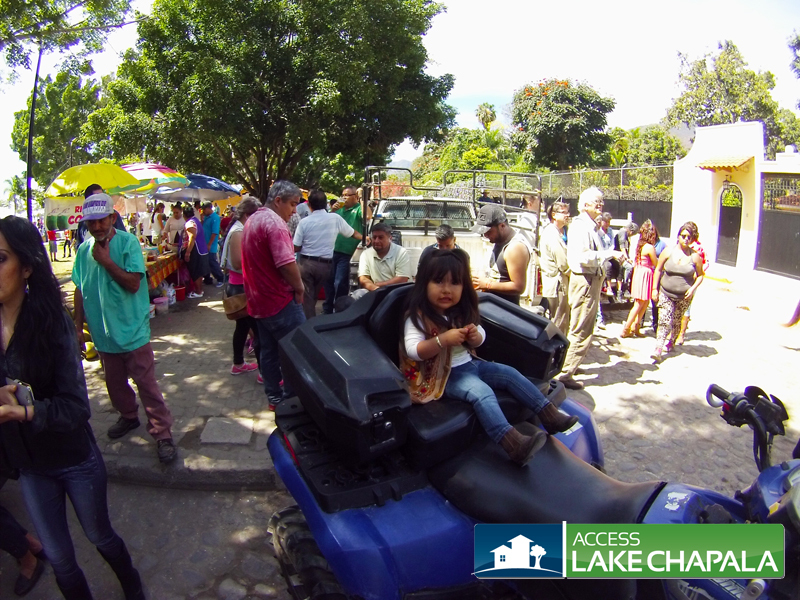 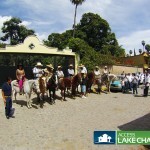 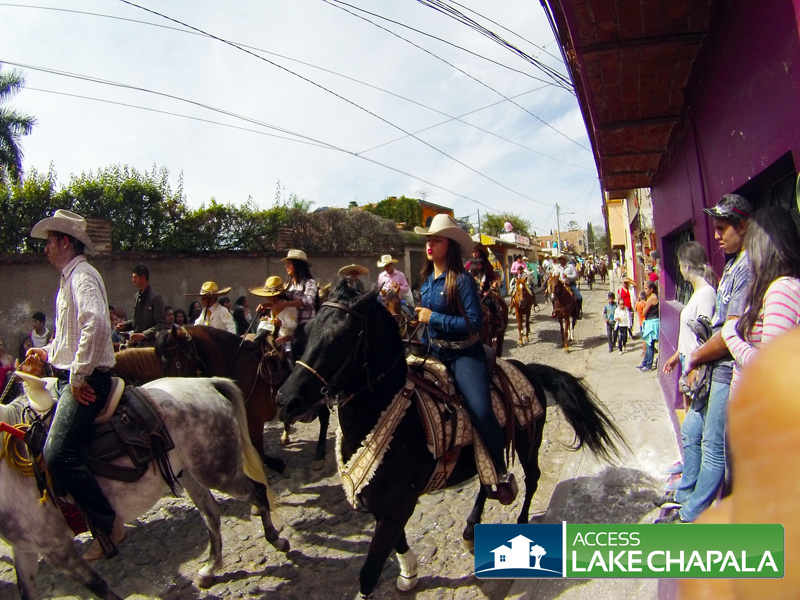 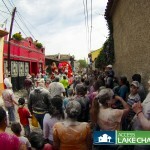 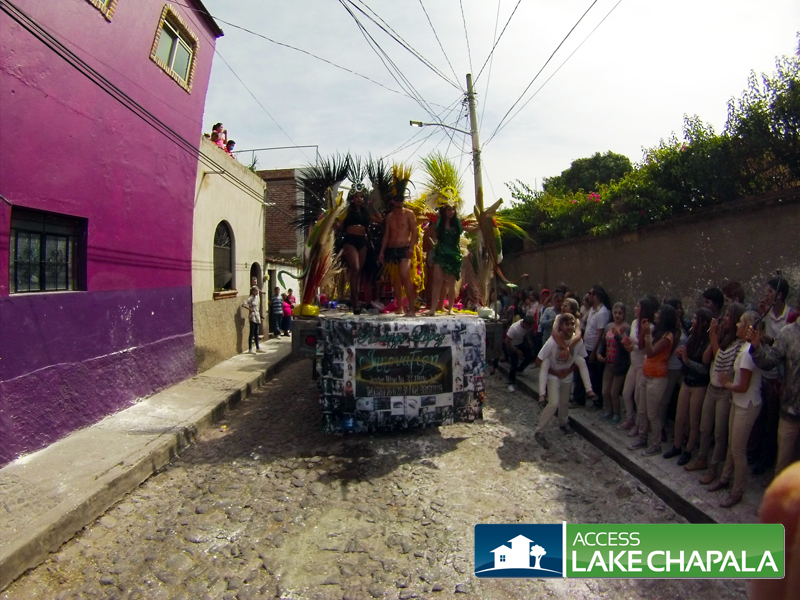 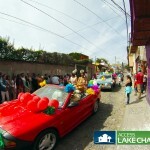 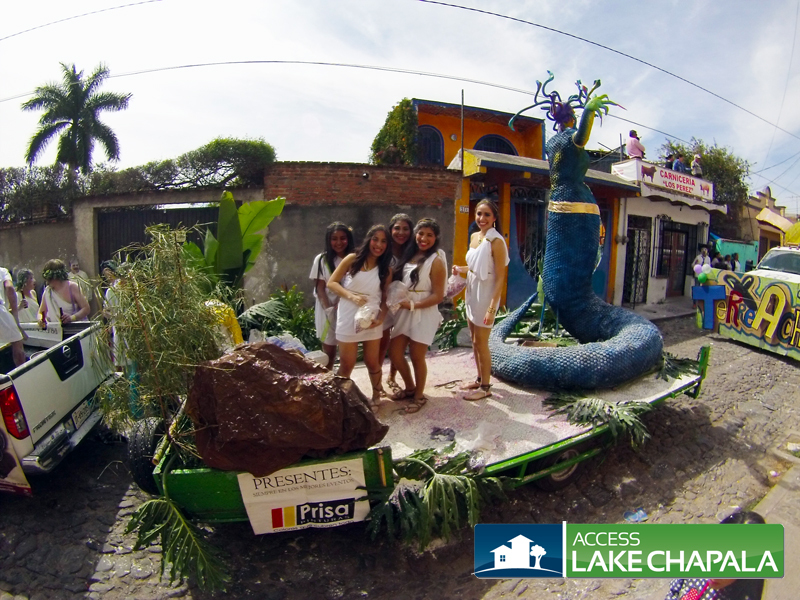 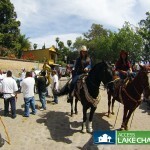 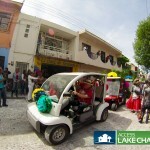 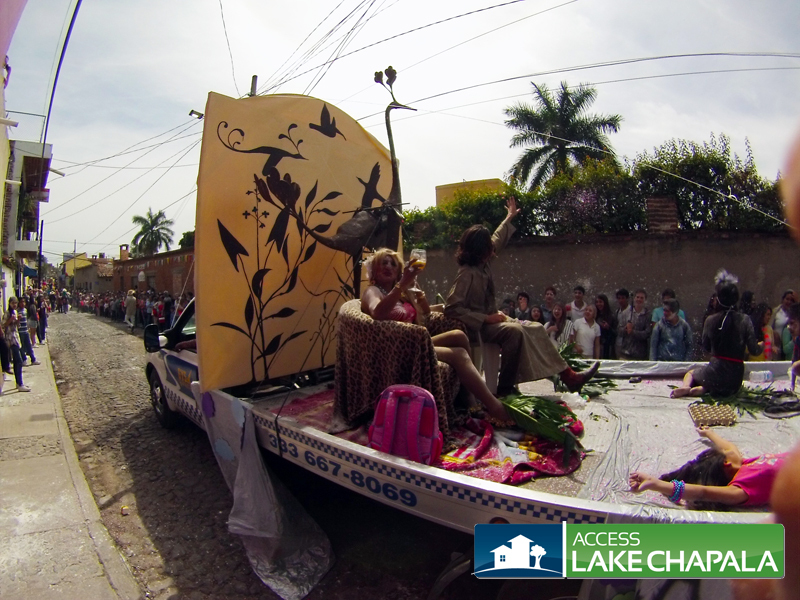 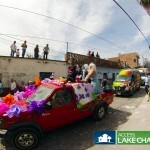 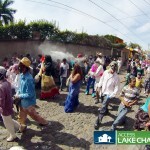 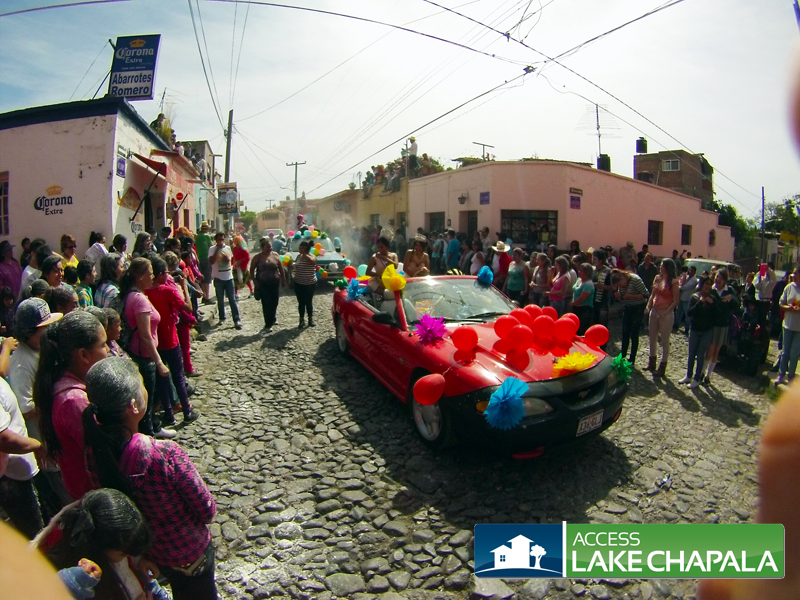 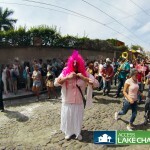 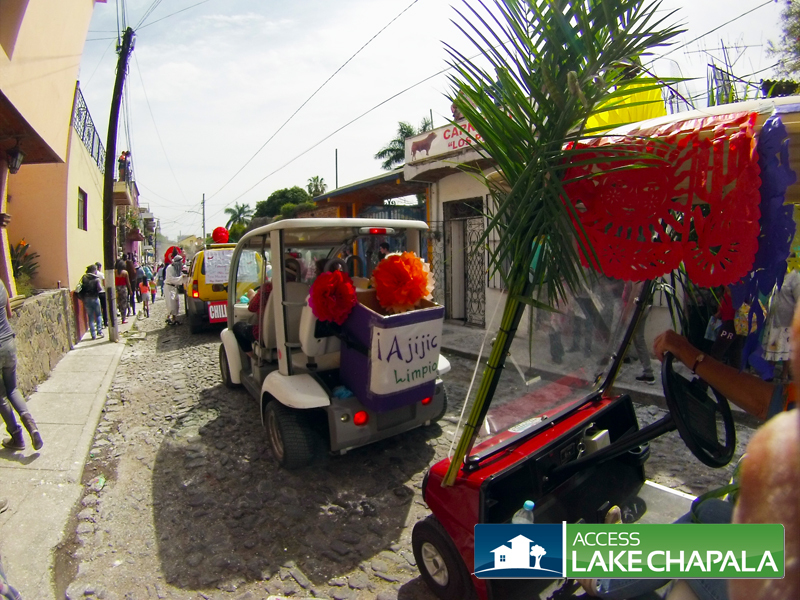 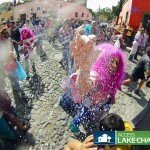 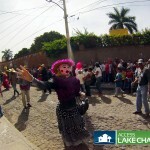 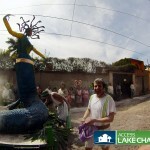 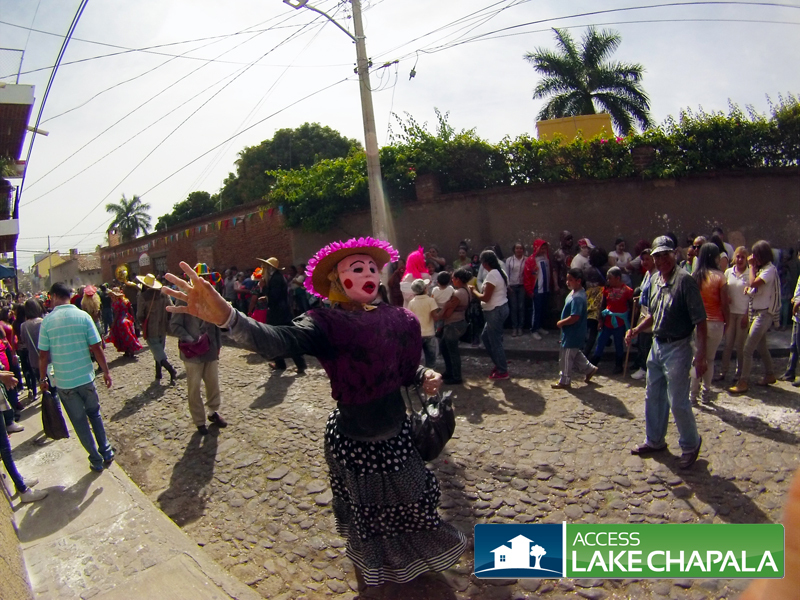 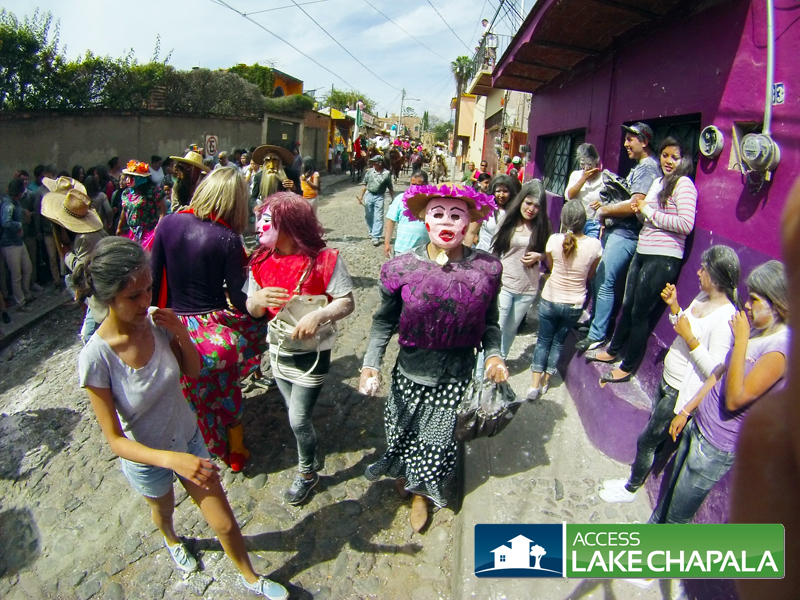 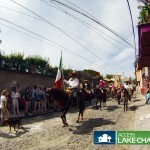 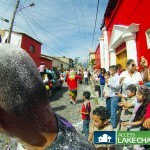 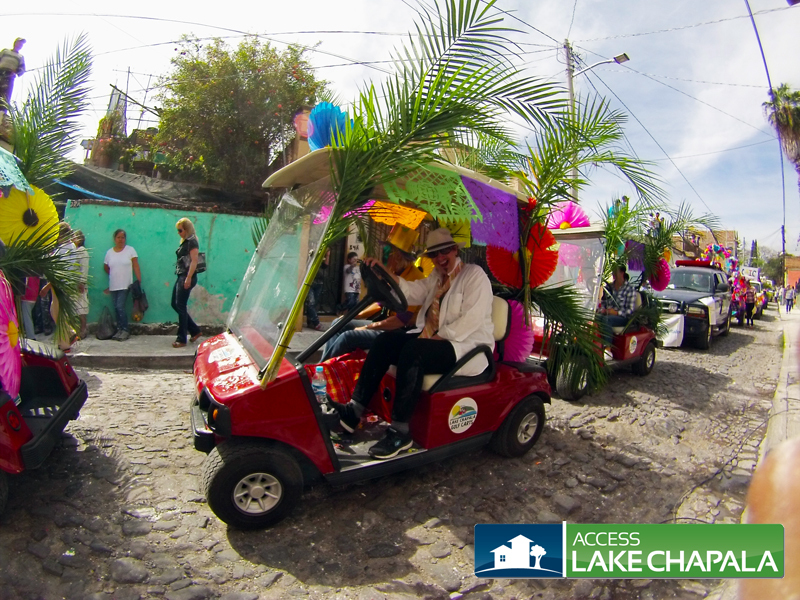 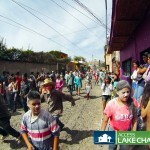 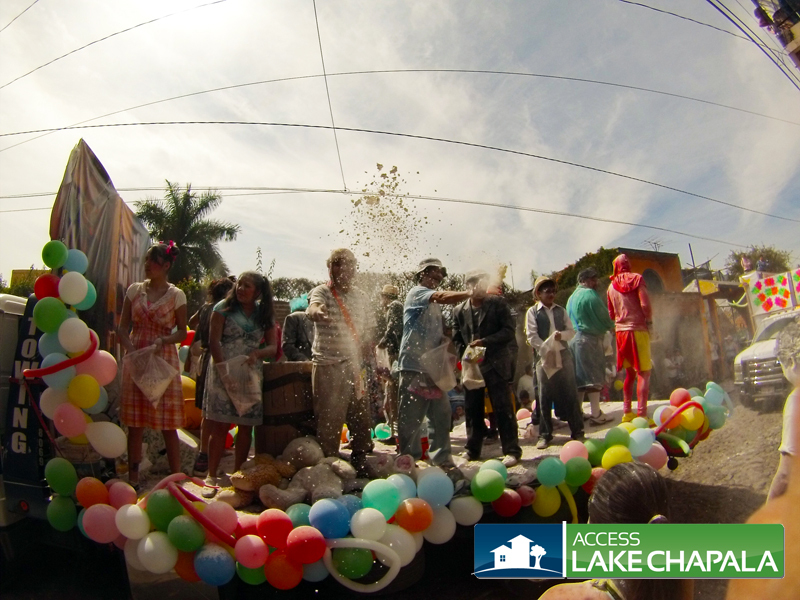 All though there are several parades during Carnival, especially in Chapala, none are as unique as the on held in Ajijic. 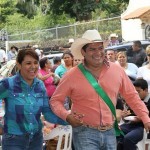 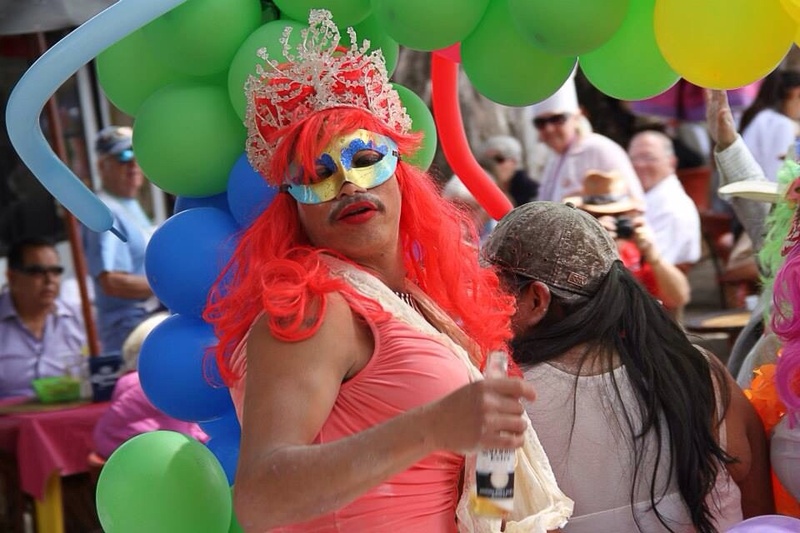 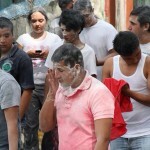 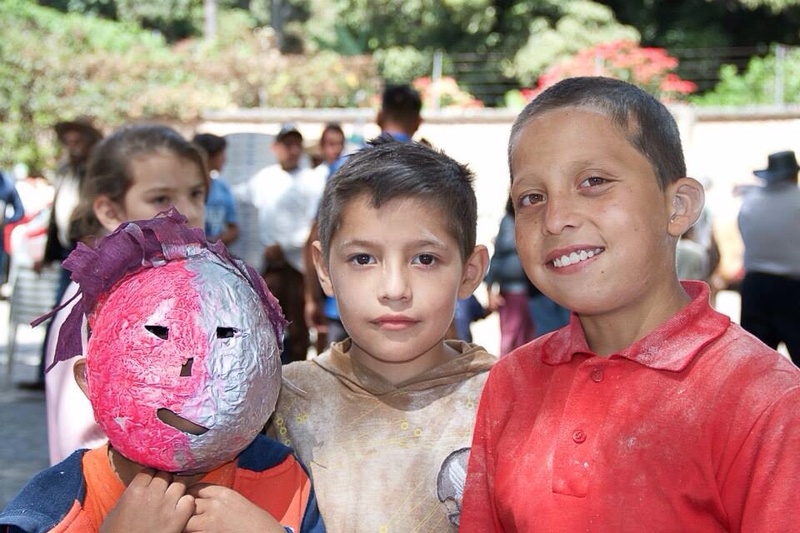 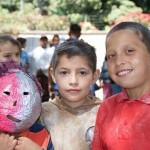 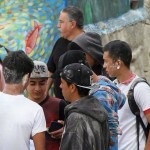 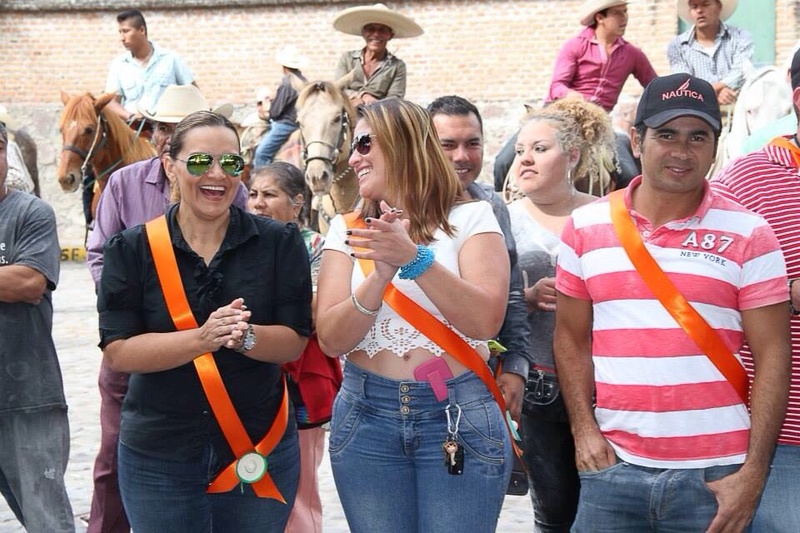 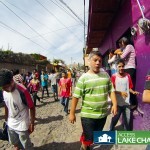 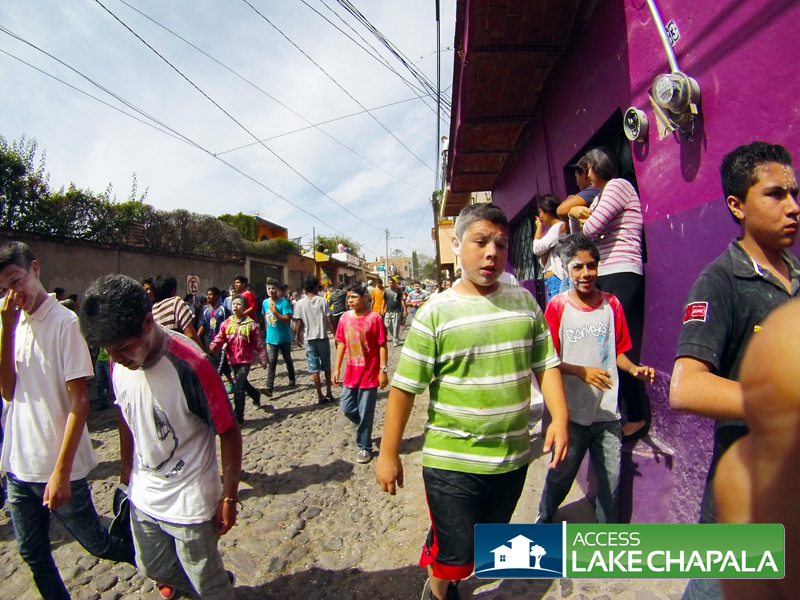 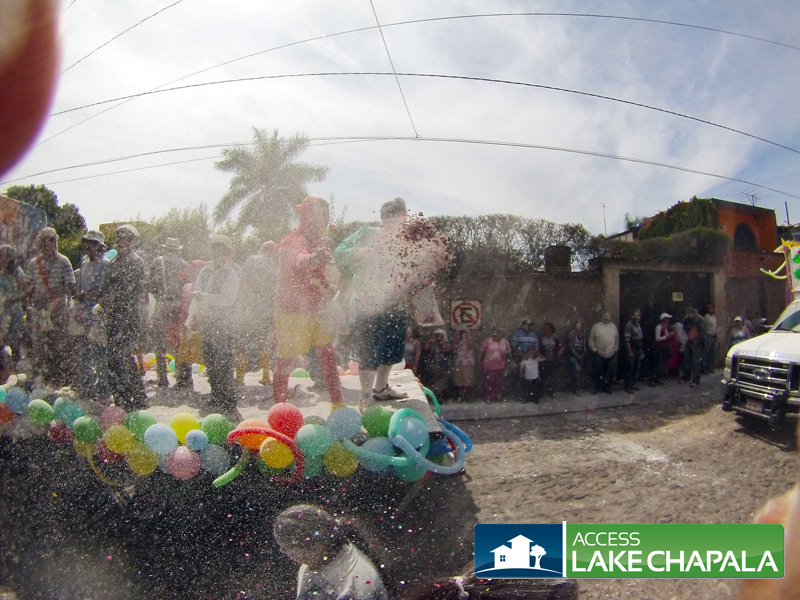 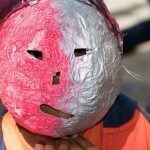 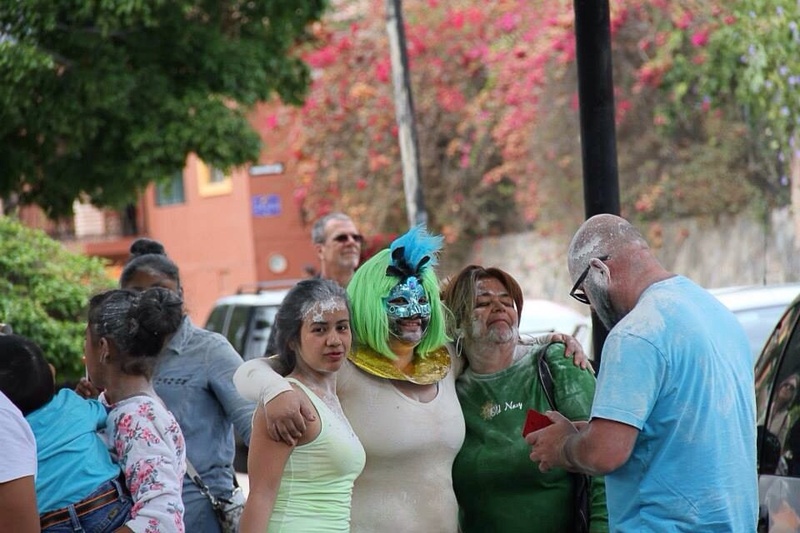 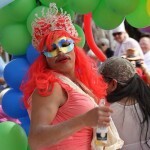 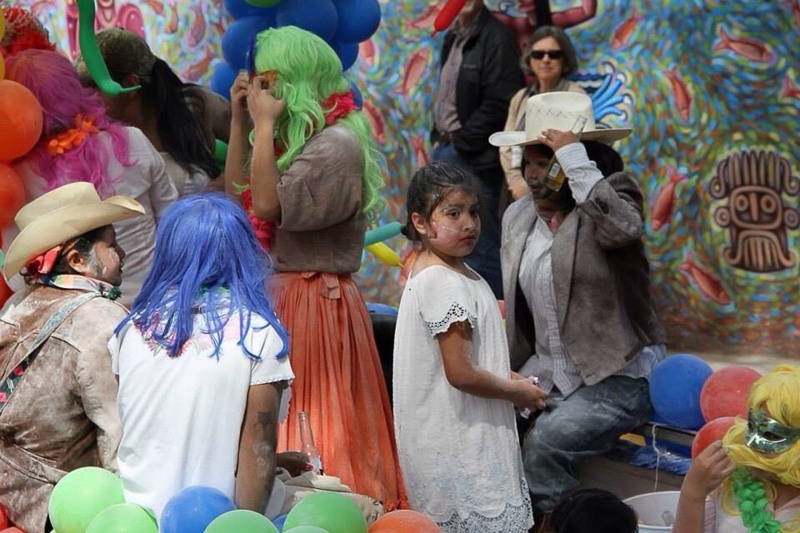 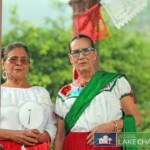 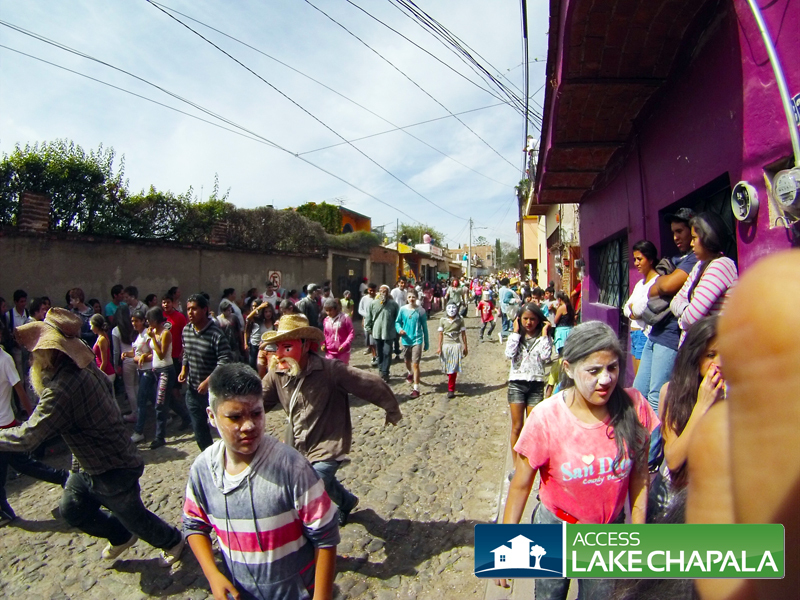 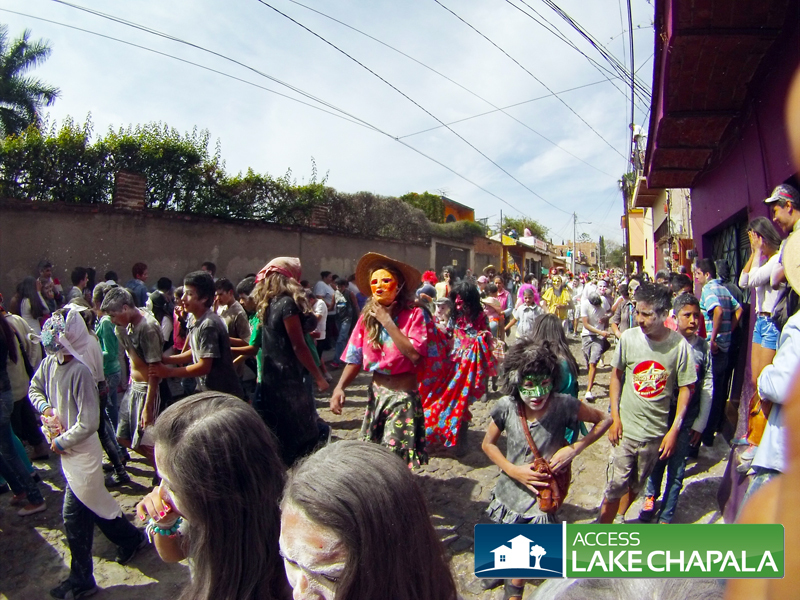 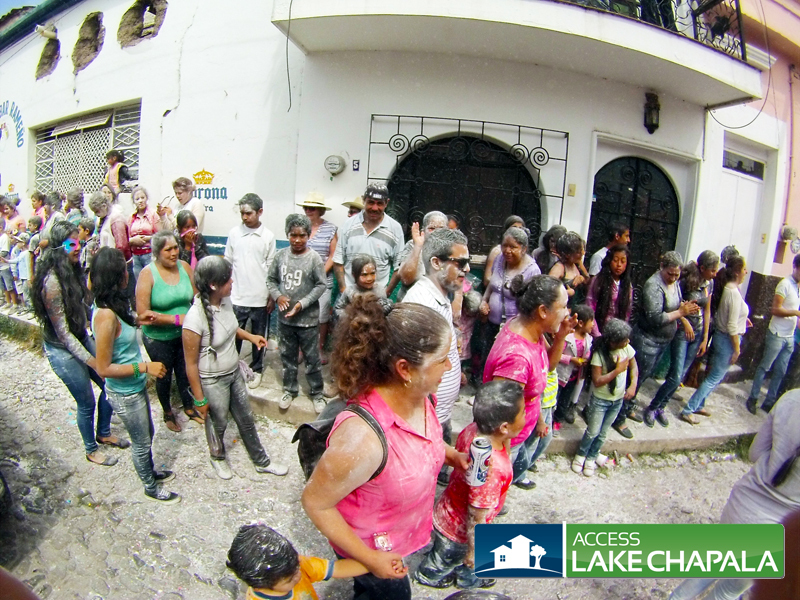 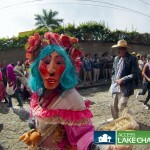 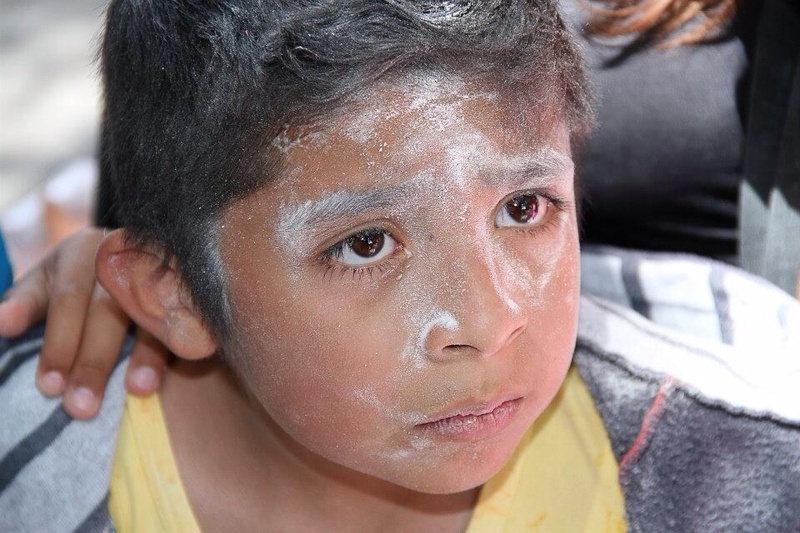 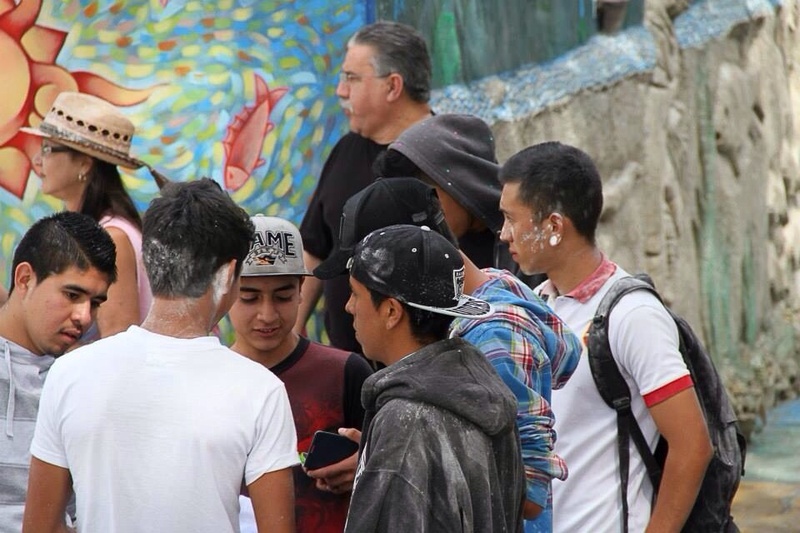 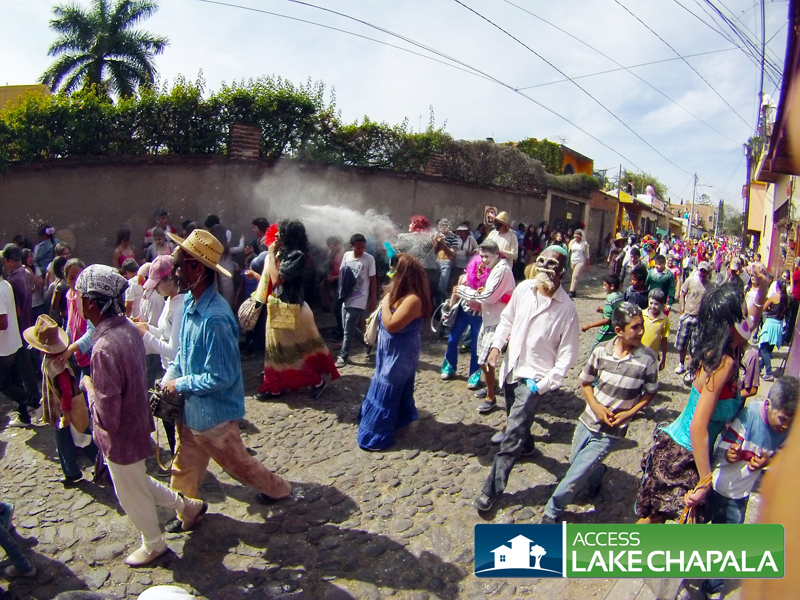 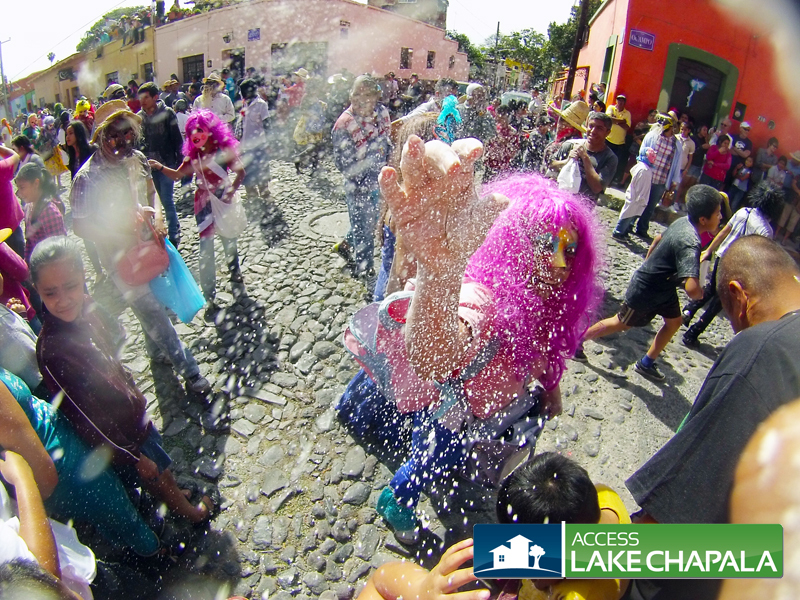 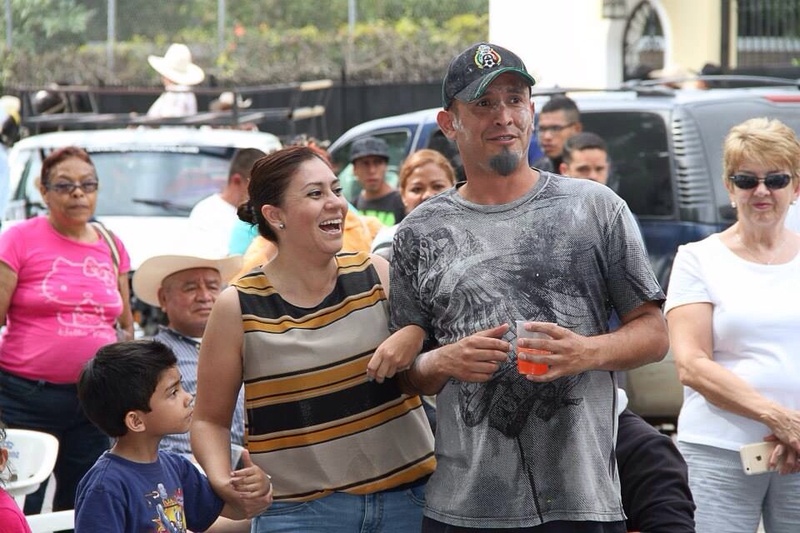 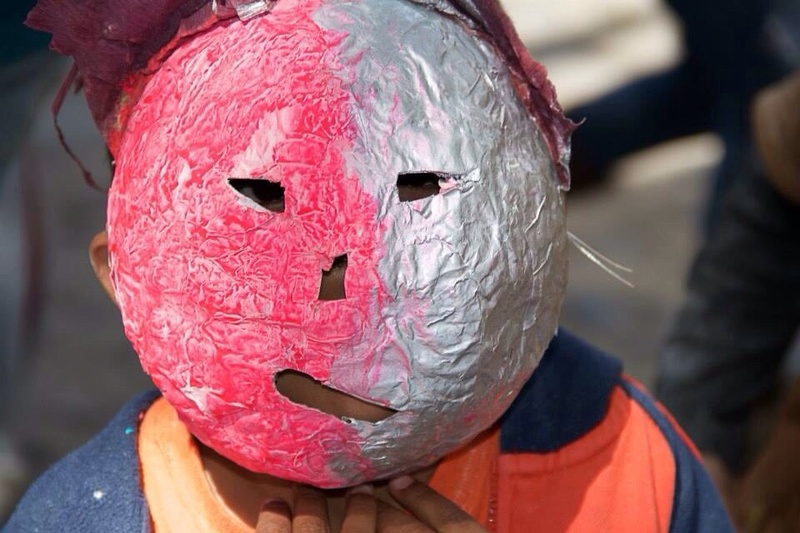 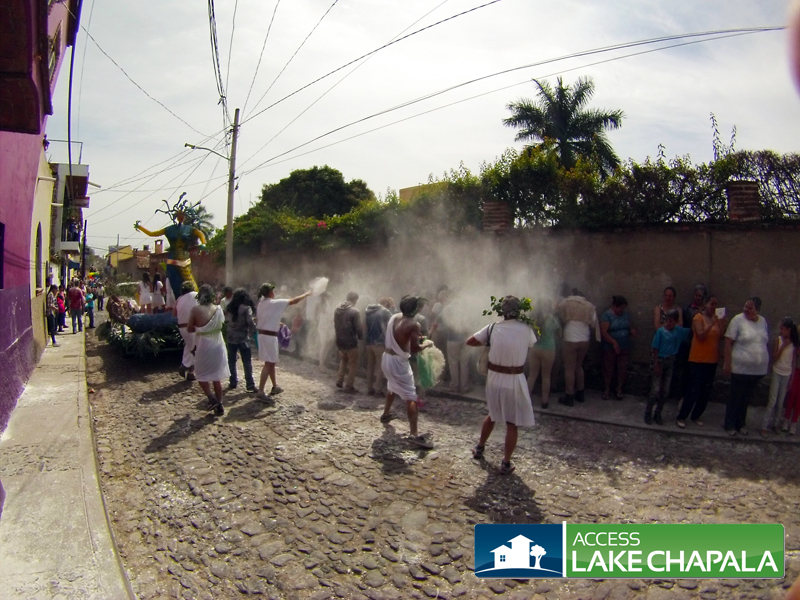 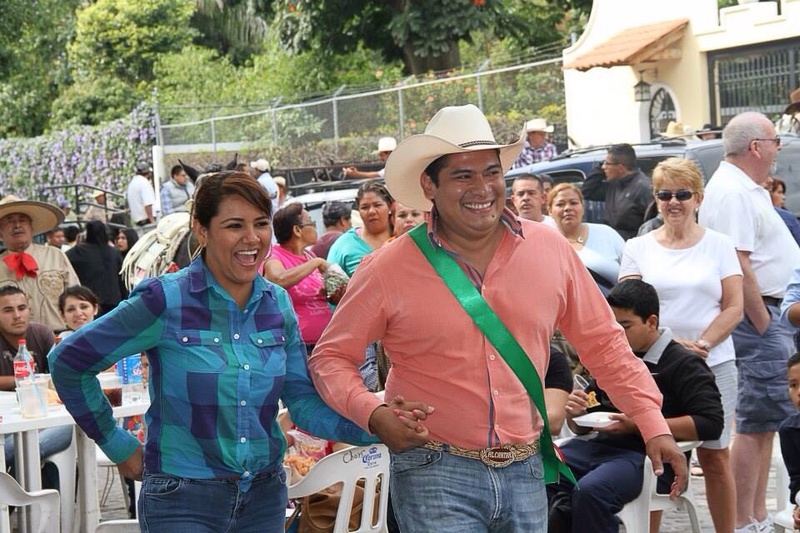 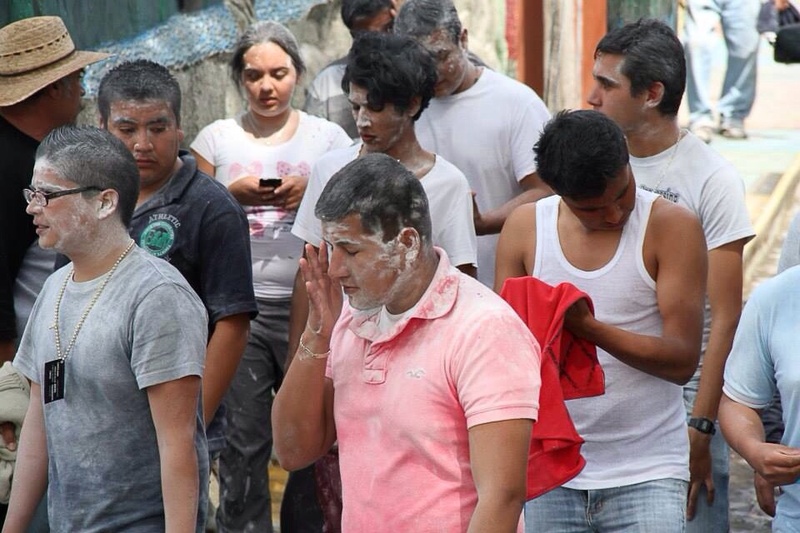 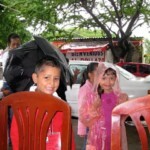 Men dress up as women, which are called “Sayacas” and throw flower on the local kids who attempt to run away from the “Sayacas”. 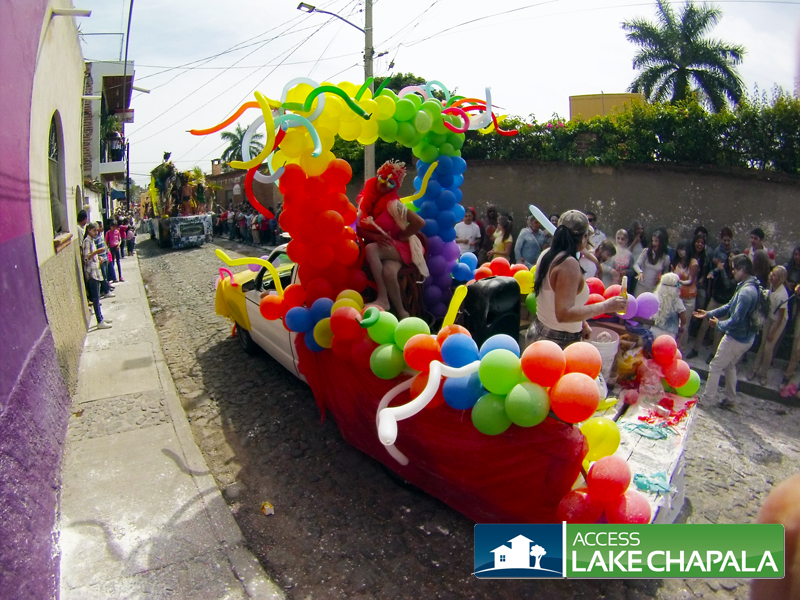 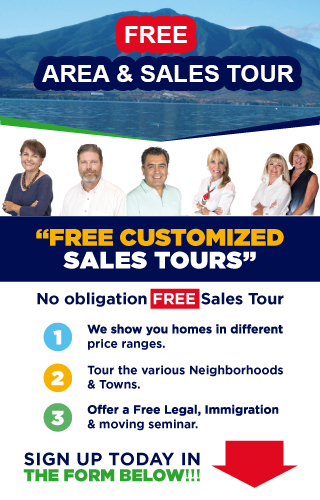 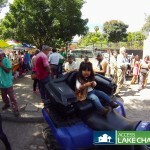 Many local business’s and clubs join the fun by decorating their vehicles as a “float”, in which they benefit by the extra exposure for their business and of course the fun that comes along with it. 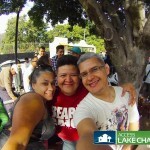 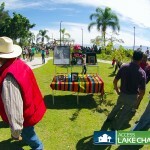 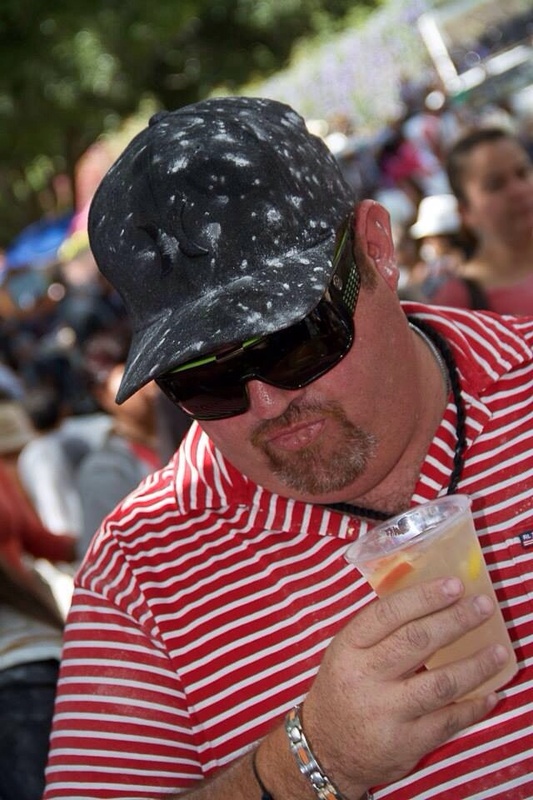 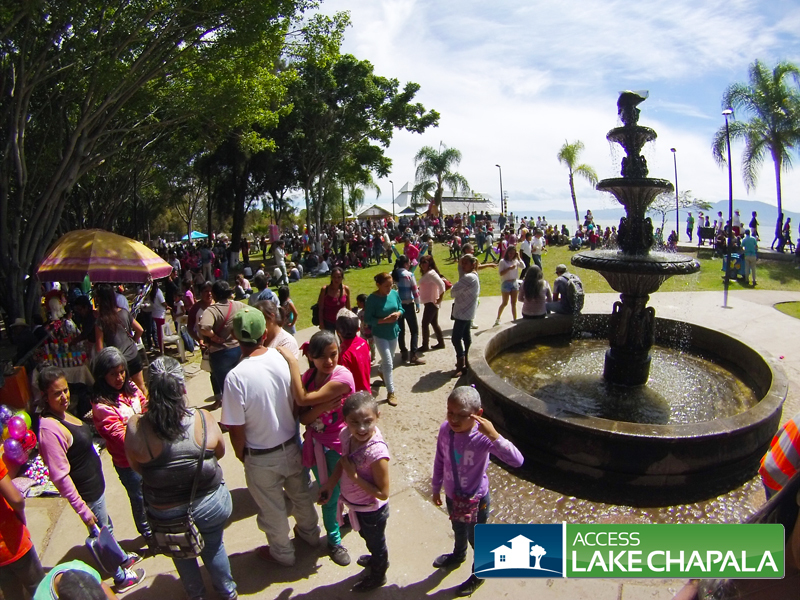 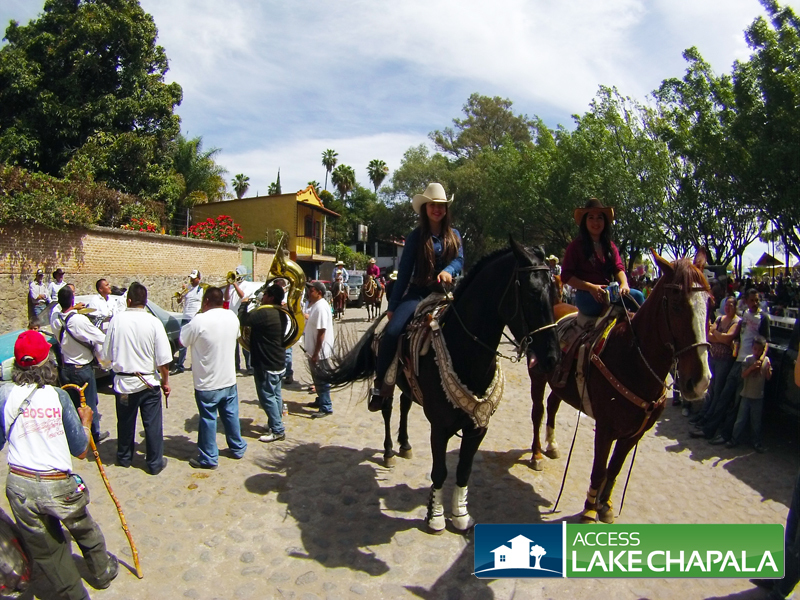 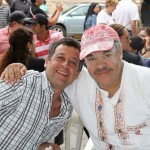 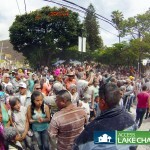 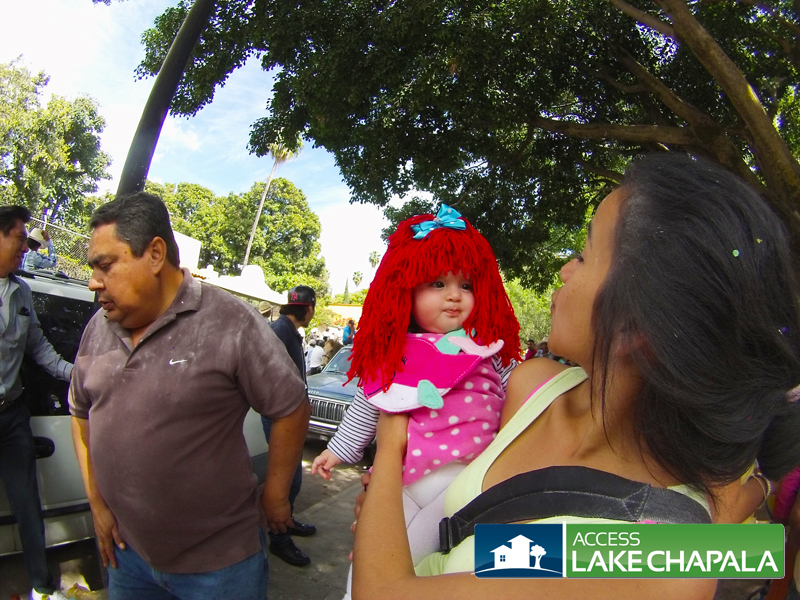 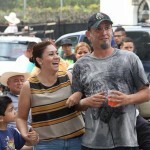 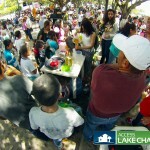 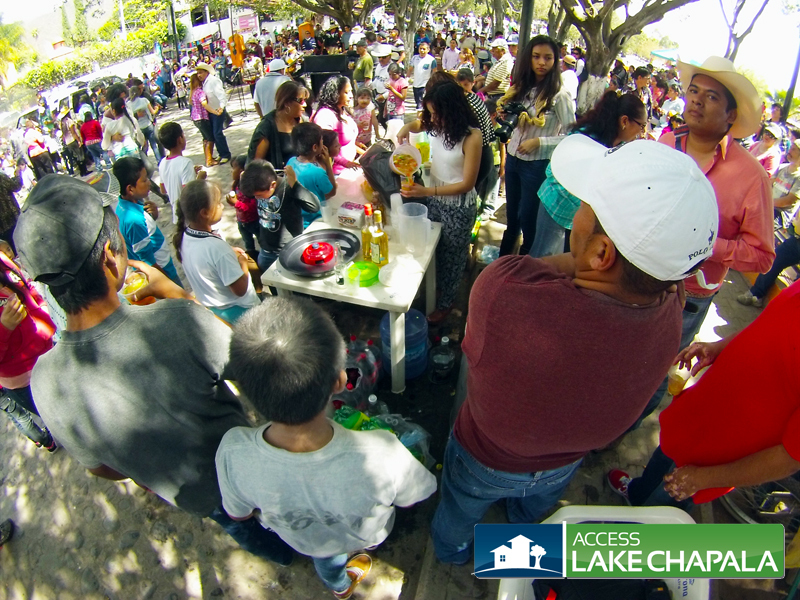 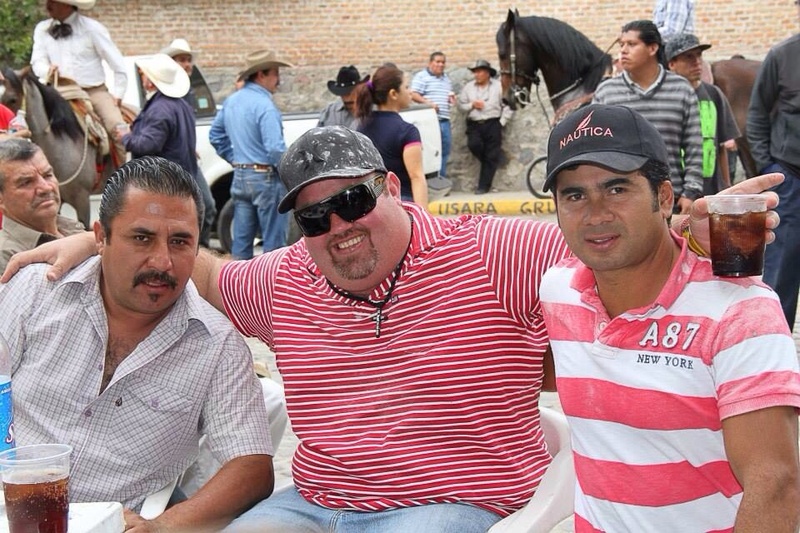 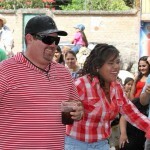 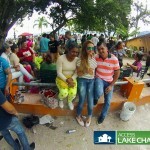 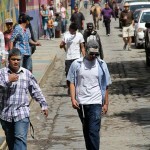 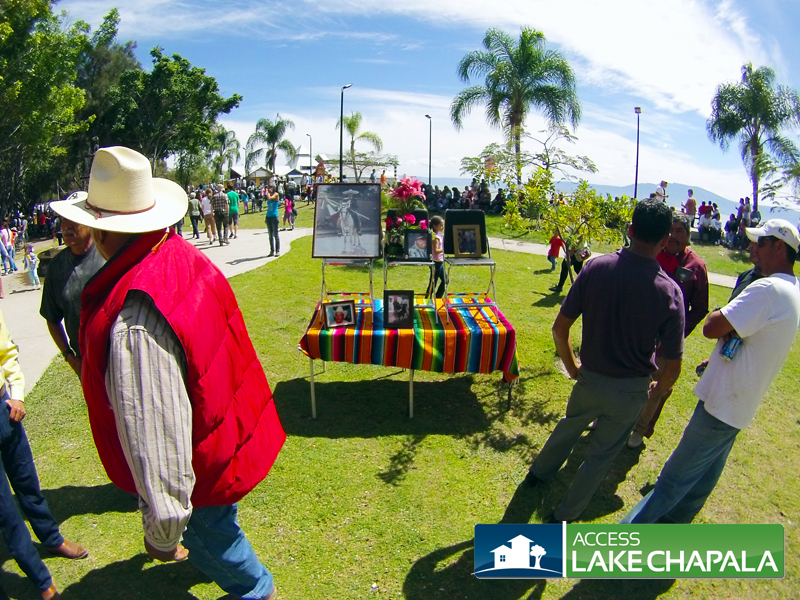 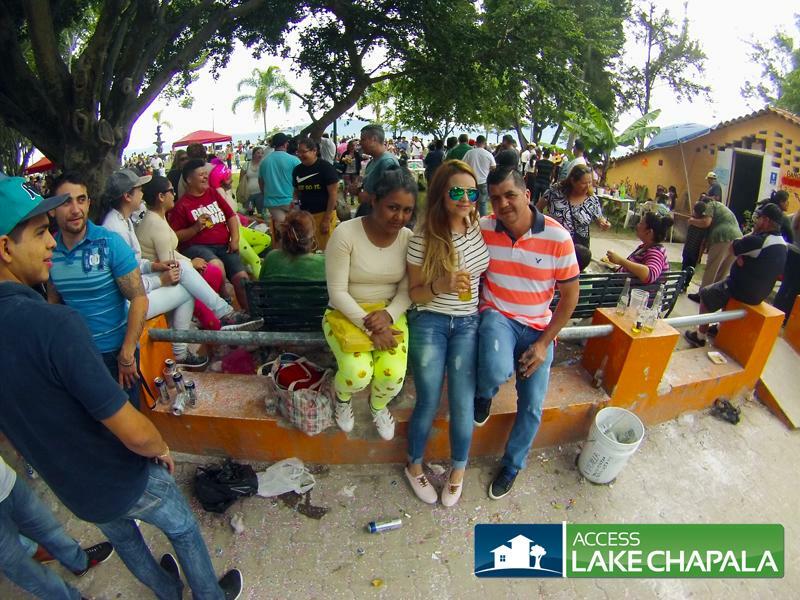 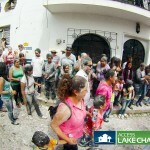 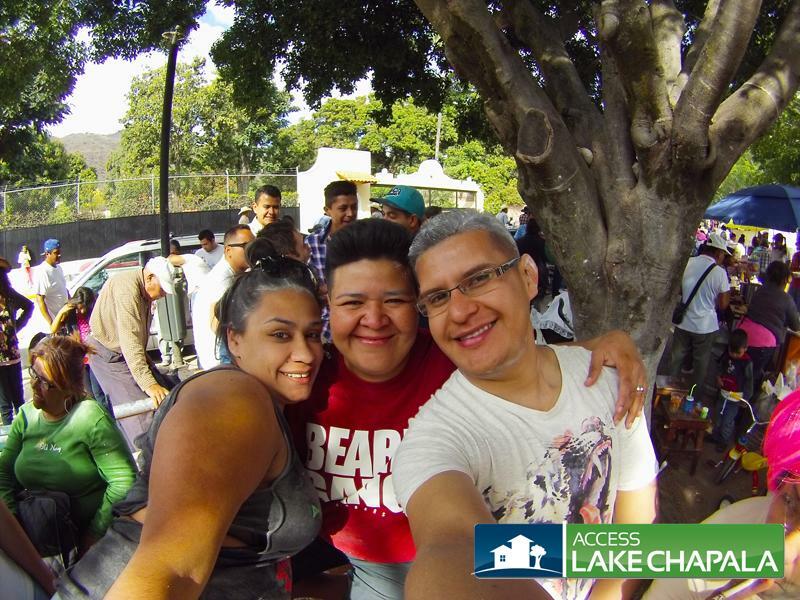 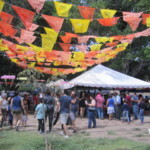 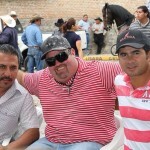 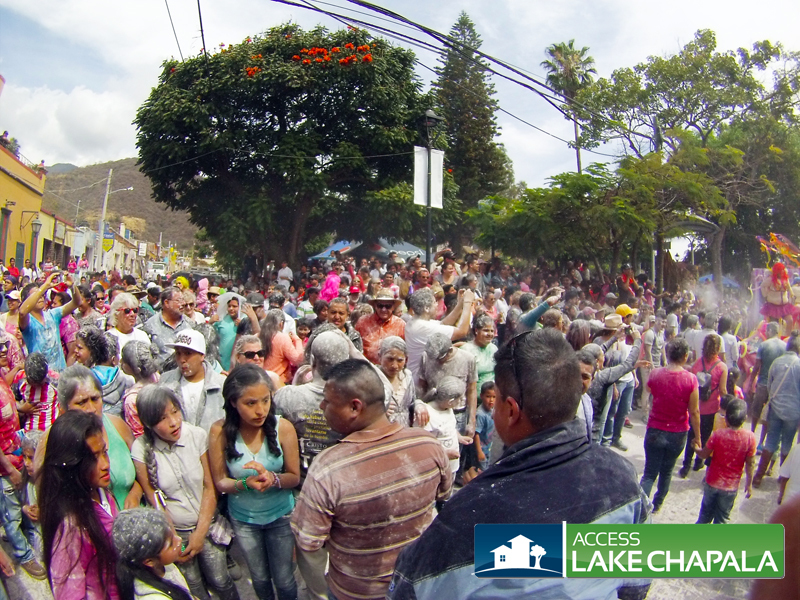 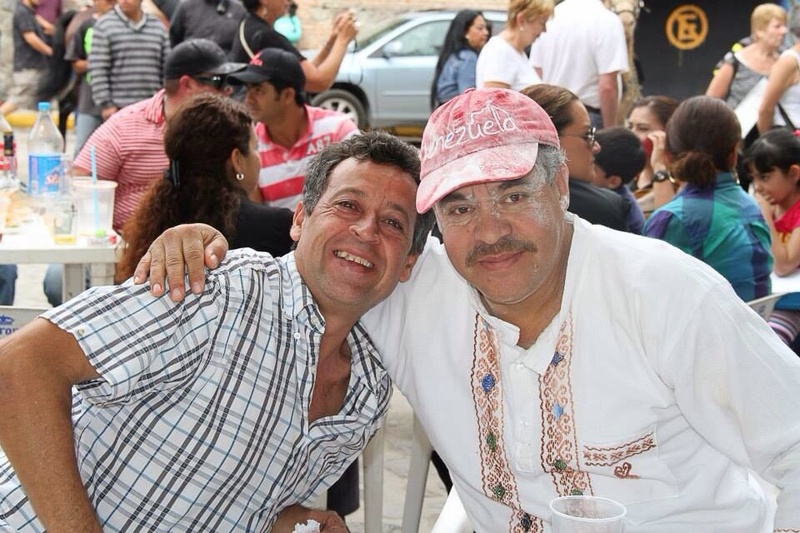 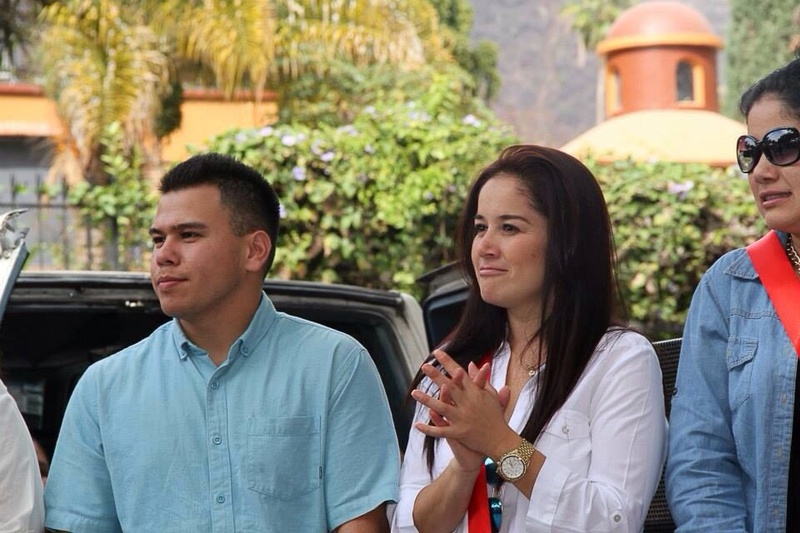 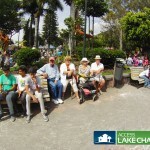 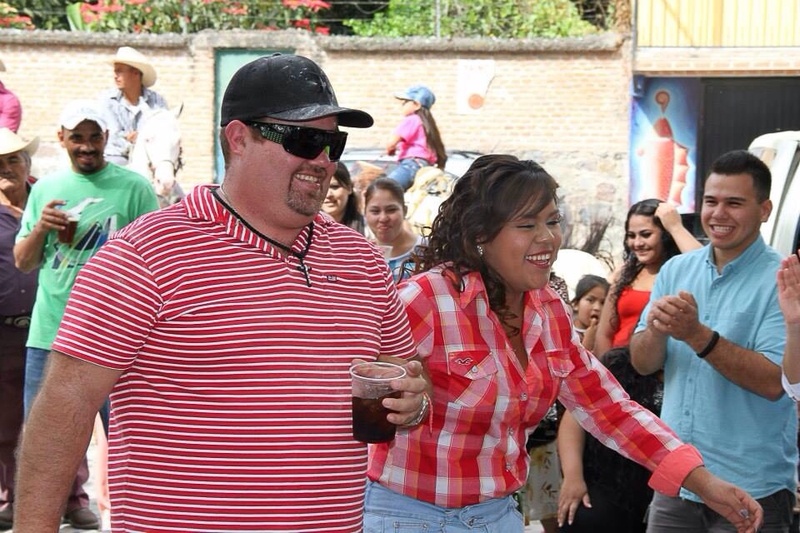 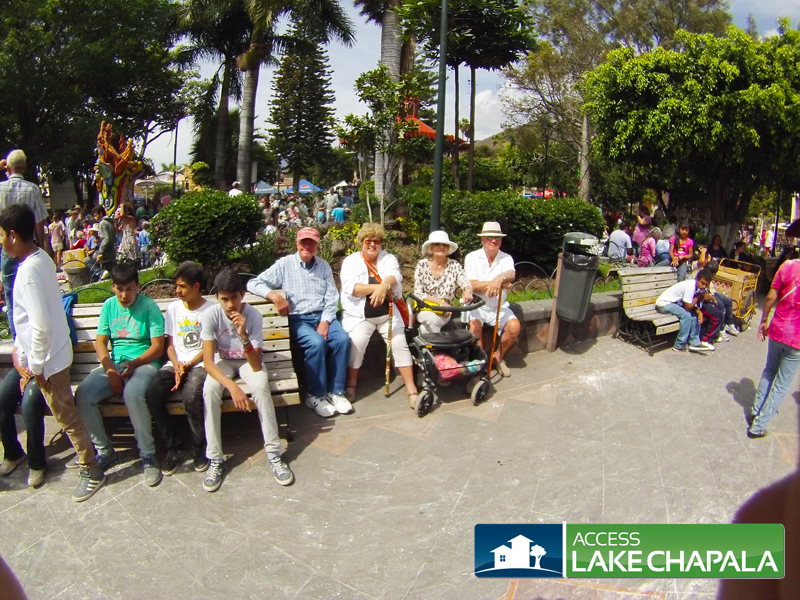 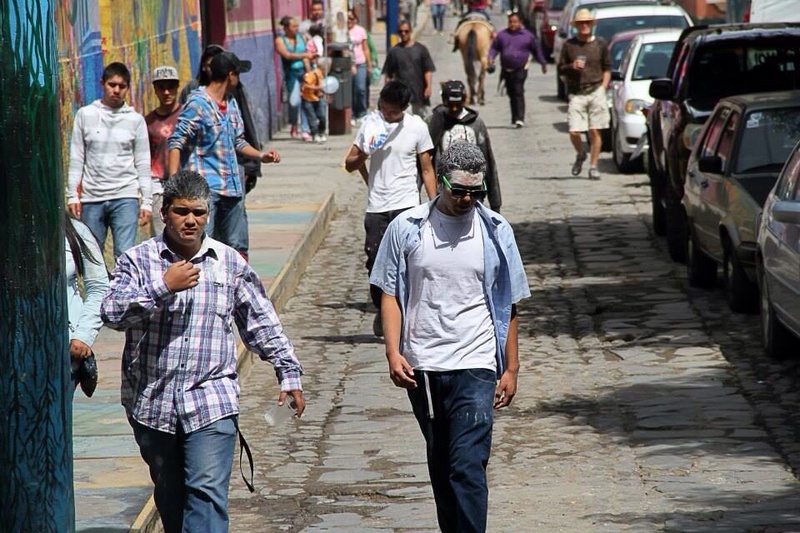 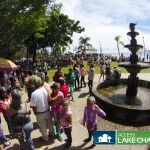 Once the parade is finishes, everyone gets together at the local Plaza and Malecon for food, drinks and music. 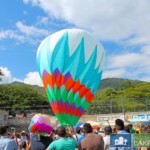 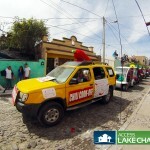 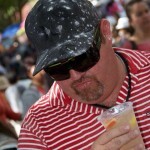 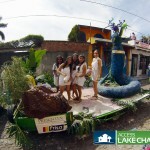 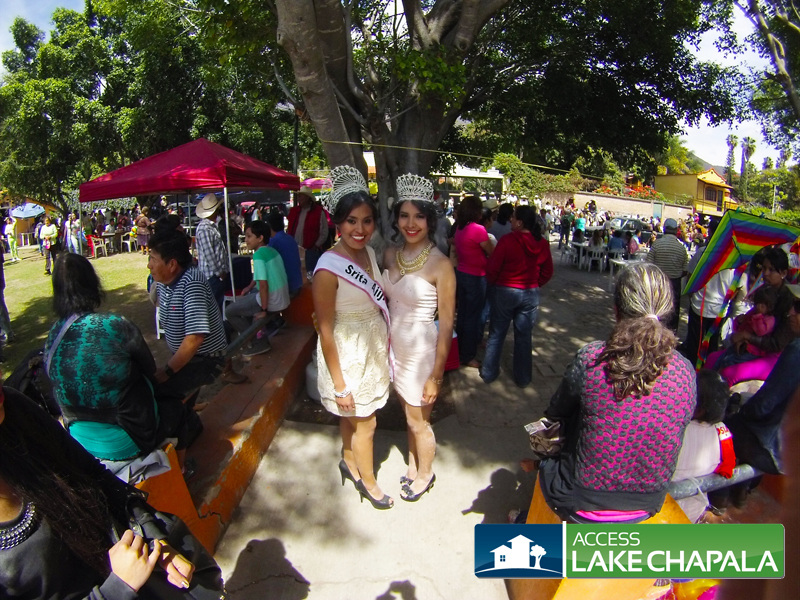 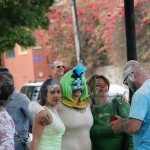 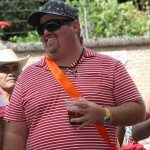 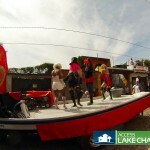 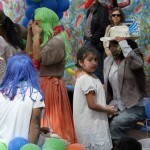 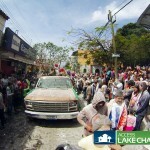 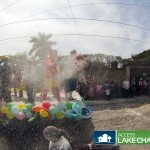 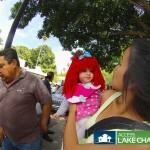 Check out or blog post on this years Carnival Parade.